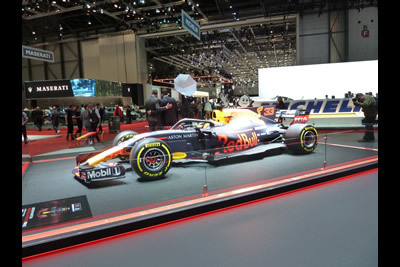 The 89th Geneva Motor Show gathered 602.000 visitors, that is 9% less than the previous edition. 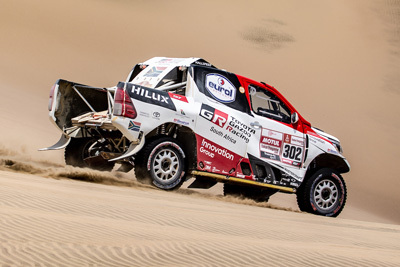 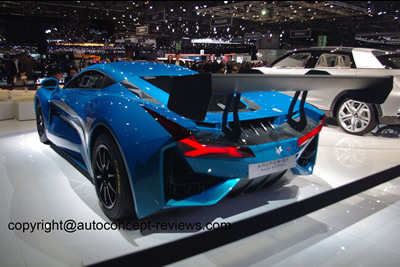 A few major car makers did not participate such as Hyundai, Ford, Opel, DS or Cadillac but the organisers claim 31 new exhibitors arriving for the first time. 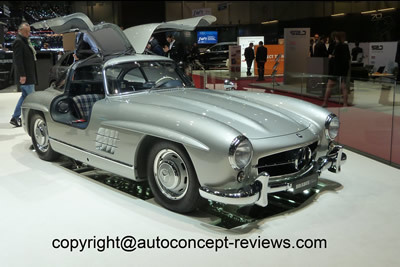 The show was the occasion for the traditional unveiling of exceptional and exotic automobiles that only appear at Geneva. 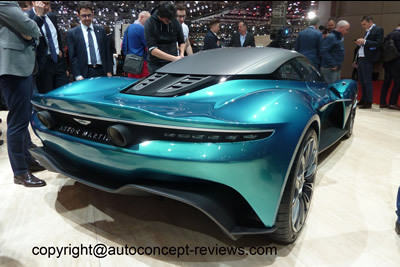 You can just check the new Bugatti La Voiture Noire, the Koenigsegg Jesko , three of the 150 examples of Pininfarina 1900 hp electric Battista, one of the 109 three seats McLaren Speedtail already sold out , the return of Hispano Suiza with an electric luxury berlinetta, Aston Martin selection of exclusive prototypes, the Ginetta Akula, the Zenvo TSR S , the 1914 hp Rimac Concept Two, a Touring Superleggera Sciadipersia Cabriolet or the 20th Anniversary Pagani Zonda C12 from 1999 just to name a few. 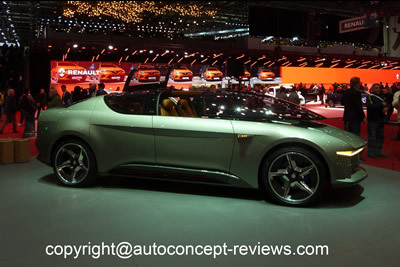 New production models, like the Peugeot 208 or the Renault Clio V, will soon be available in the showroom near your residence; that explains why we did not take time to report on those new machines. 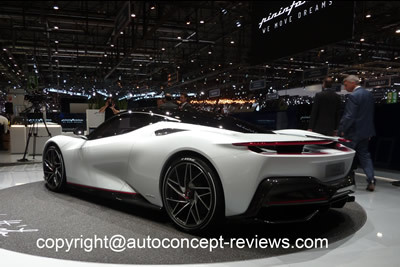 ELECTRIC OBSESSION- Three Chinese Companies, Division of major manufacturers like Beijing Automotive Corporation, Shangai Automotive Corporation or the Geely Holding, exhibited projects of electric vehicles. 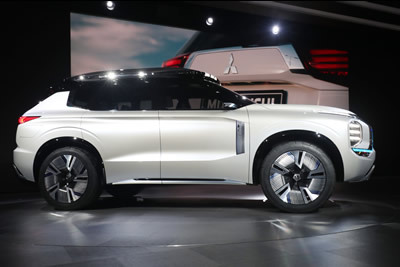 The Chinese Ministry of Industry defined that China should be the leader of electric vehicles manufacturing. 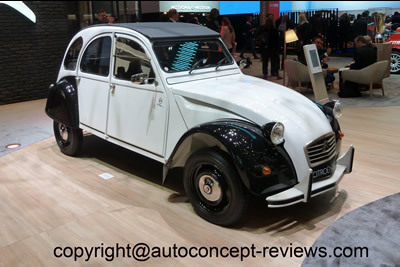 The European Commission has formulated in September 2018 new regulations stipulating that CO2 emissions from new cars should be cut by 45% by 2030 and proposed setting a high target for reducing EU fleet-wide emissions for new cars by 2030 to 45% with an intermediate target of 20% by 2025. 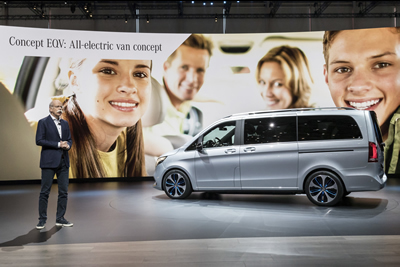 The draft legislation also sets similar targets for new vans. 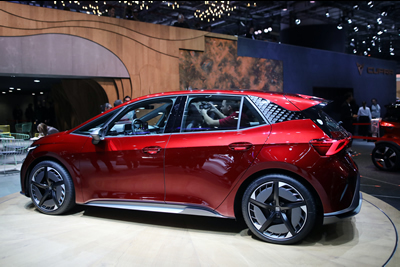 Manufacturers whose average CO2 emissions exceed these targets will pay a premium to the EU budget, for up-skilling workers affected by changes in the automotive sector. 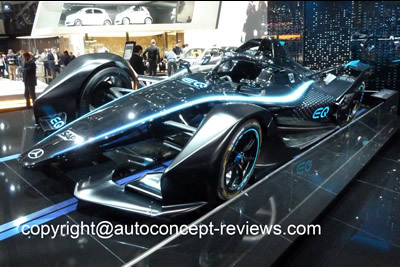 Carmakers will also have to ensure that zero- and low- emission vehicles - ZLEVs - (which emit less than 50g co2/km) have a 40% market share of sales of new cars and vans by 2030, and 20% by 2025. . 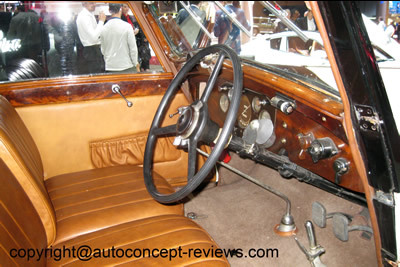 There is nothing specified concerning the change for the customers. 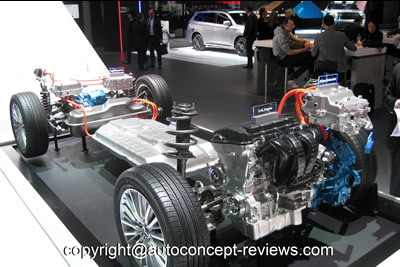 Sales of electric cars remain very low even with subsidies. 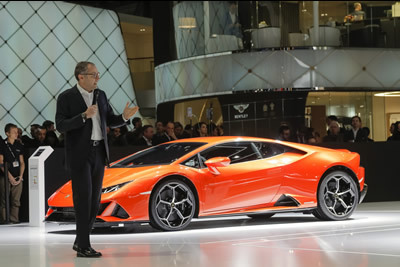 The customer still define the market. 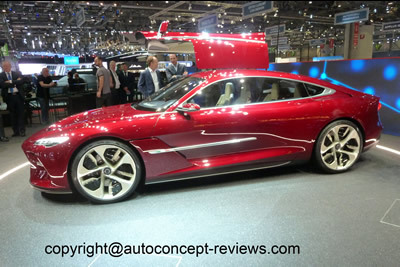 Besides these information, the Car of the Year for 2019 has been selected and is the Electric Jaguar-I Pace. 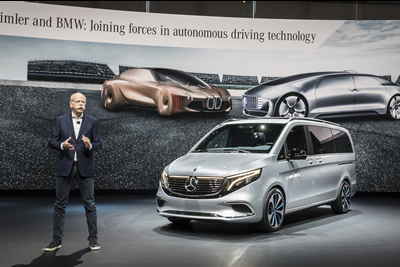 Mercedes Benz has announced in January the establishment of a global battery production network with nine factories on three continents. 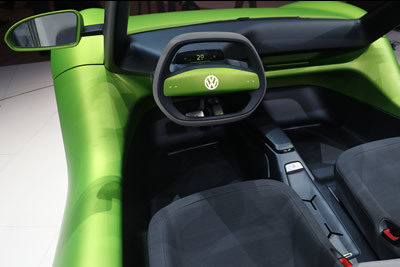 Volkswagen in February announced almost seventy electric models by 2028. 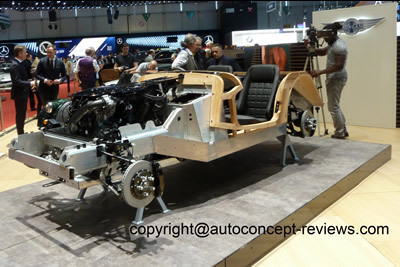 Volkswagen is implementing a network of 8 factories to produce its MEB Modular Electric platform that is intended not just for the group but will also shall be made available to other car makers. 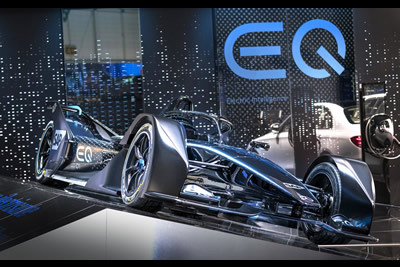 the Volkswagen Group was showcasing numerous electric vehicles and studies, such as the Audi e-tron GT, ŠKODA Vision iV, SEAT Minimo Urban Car or the ID. 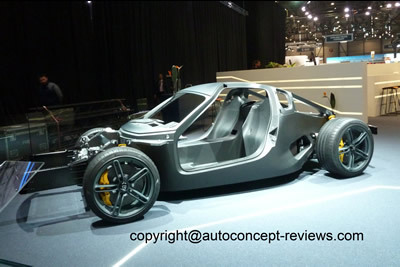 BUGGY, that will be making their debut with customers in the next few years. 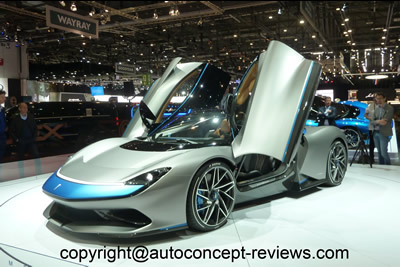 Most major manufacturers have introduced electric and plug-in-hybrid announcements. 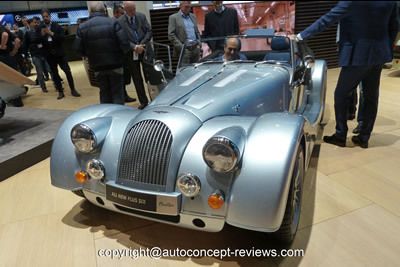 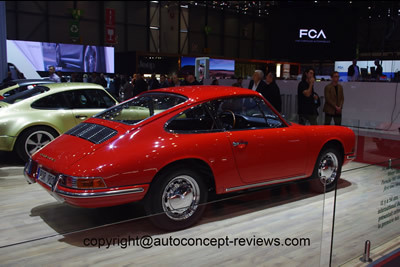 We are presenting here a series of review of original and exceptional automobiles seen along the alleys of the 89th Geneva Motor Show. 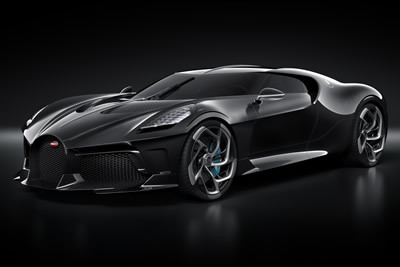 The one-off special hyper sports car was hand-crafted for a Bugatti enthusiast. 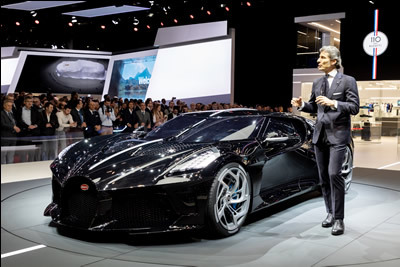 “La Voiture Noire” is a collection of superlatives,” says Stephan Winkelmann. 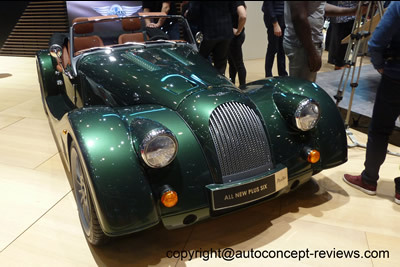 Apart from design, quality and materials, this also applies to the iconic power plant. 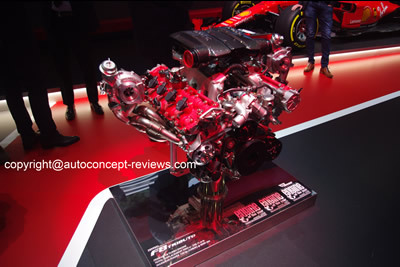 The 16-cylinder engine with a displacement of 8 litres produces 1,103 kW/1,500 PS. 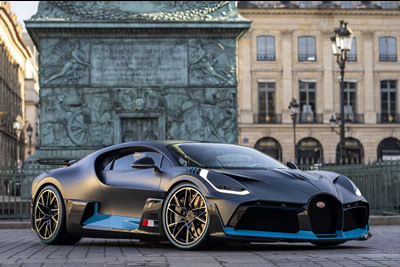 A car collector purchased this unique vehicle for €11 million net, making it the world’s most expensive new car and continuing the long tradition of Bugatti. 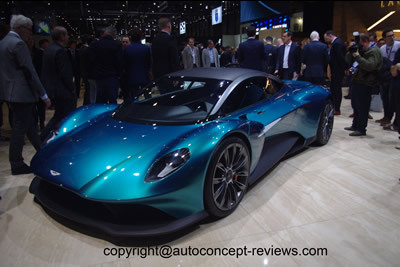 A tantalising preview of Aston Martin’s first series production mid-engined supercar, the Vanquish Vision Concept showcases the design language of the marque’s most ambitious model, taking centre stage today alongside AM-RB 003. 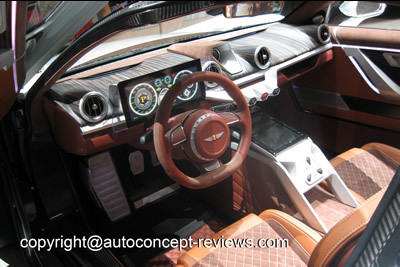 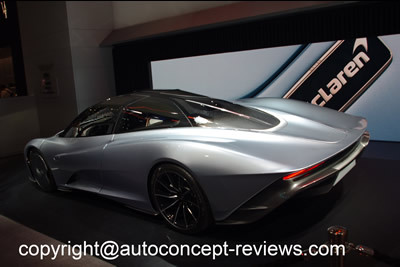 The Aston Martin Vanquish Vision Concept is exhibited as a full scale model with a minimum of interior and is intended for introduction on the market in 2022. 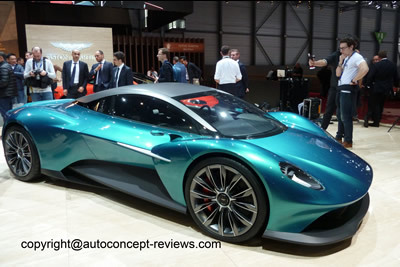 The Aston Martin Vanquish Vision Concept illustrates a new sports car propelled by new Aston Martin V6. 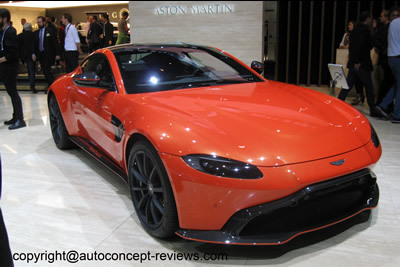 ‘Q by Aston Martin’ offers many exquisite personalisation options for this Aston Martin Vantage V8 with automatic eight-speed gearbox. 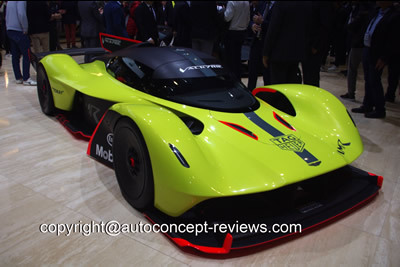 The Aston Martin Valkyrie AMR Pro - the sensational track-only evolution of the marque’s spectacular hypercar was introduced for the first time at 88th Geneva Motor Show. 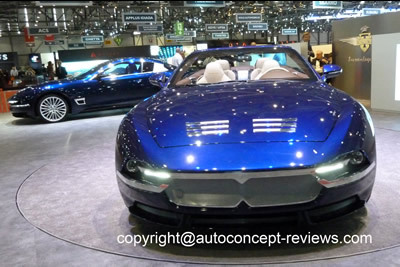 Only 25 units are intended to be produced. 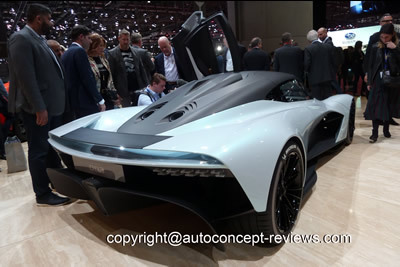 Continuing its march into the manufacture of mid-engined hypercars, Aston Martin is proud to present the design concept for AM-RB 003 at the 2019 Geneva Motor Show. 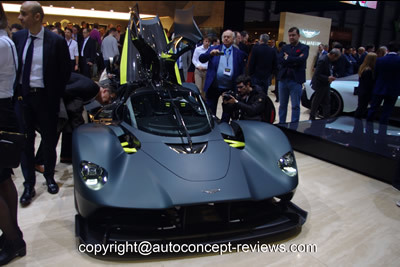 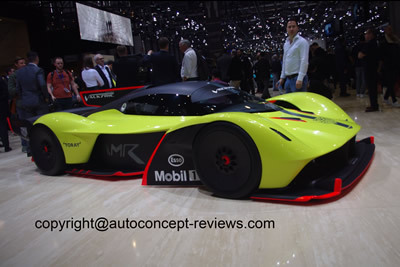 As its codename suggests, the AM-RB 003 follows the Aston Martin Valkyrie and Valkyrie AMR Pro as the third hypercar in Aston Martin’s mid-engined story. 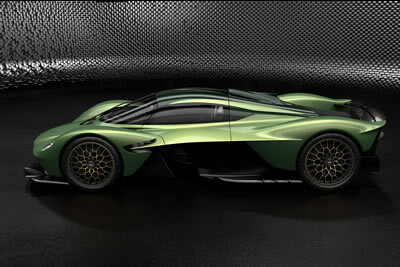 Both evolutionary and revolutionary, AM-RB 003 will incorporate concepts and technologies taken directly from F1TM and applied to the epoch-making Aston Martin Valkyrie, providing it with performance to meet and surpass the performance demands of existing top-end hypercar rivals. 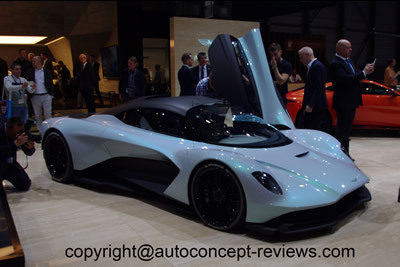 Full technical details of the AM-RB 003 will be revealed as the development programme progresses, but it will be the first car to receive Aston Martin’s new hybrid turbo V6 engine, marki ng Aston Martin’s return to in-house designed engines. 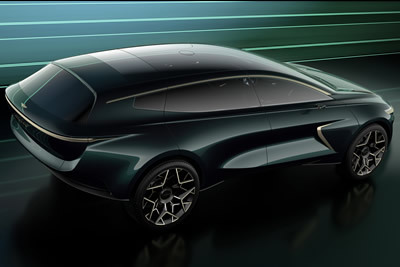 Lagonda All-Terrain Concept previews a development of the Lagonda design language first seen in the ‘Vision Concept’ revealed at the 2018 Geneva motor show. 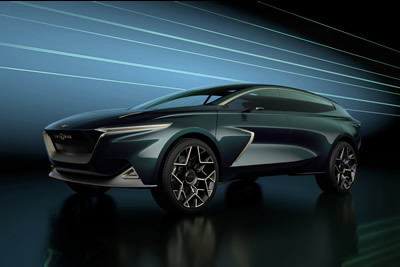 Concept gives first glimpse of the first production model from the luxury brand exclusively driven by zero emission powertrain technologies. 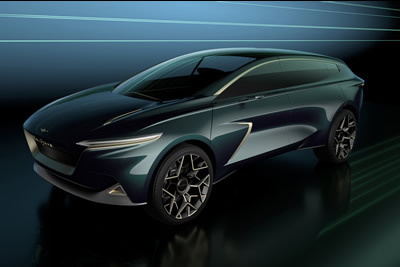 Production of Lagonda vehicles set to begin at new St Athan facility in Wales in 2022. 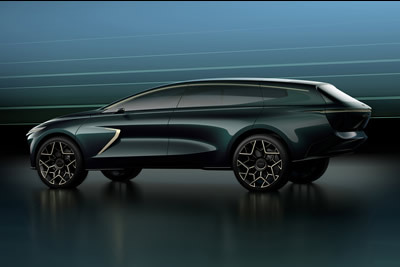 Built around near-future technologies such as its advanced Battery Electric drivetrain, the Lagonda All-Terrain Concept is an ultra-stylish, supremely luxurious, fully electric emission-free vehicle that can transport its occupants to remote and spectacular locations. 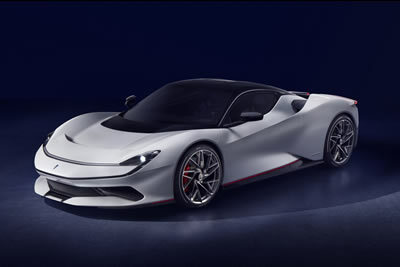 Pininfarina's excellence in the design and crafting of exclusive cars finds a new expression in the Battista, the electric hypercar launched at the Geneva Motor Show by Automobili Pininfarina, the new sustainable luxury car brand controlled by Mahindra & Mahindra Ltd. 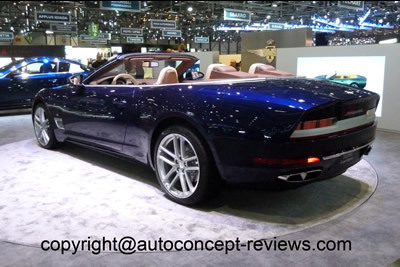 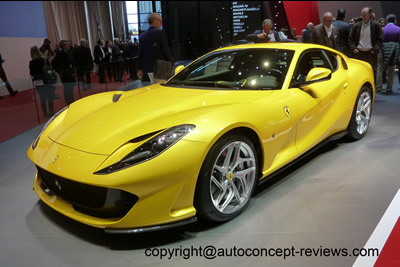 There were two Pininfarina exhibitors at the Geneva Motor Show. 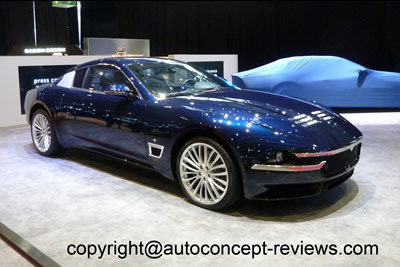 The Carrozzeria Pininfarina is the famous design house that dominated the styling evolution of automobiles with other major coachbuilders has designed the Battista for the new Company Automobili Pinifarina that initiate the control of manufacturing and sale of exclusive electric cars like the Battista. 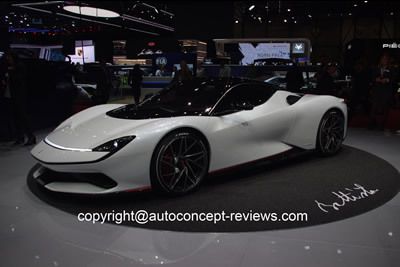 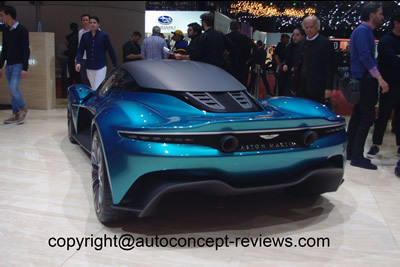 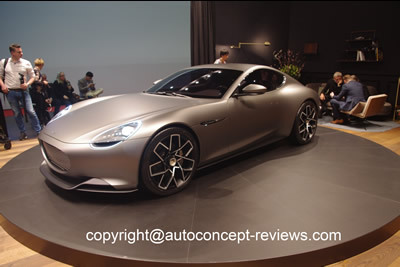 The Battista is proposed in 150 units. 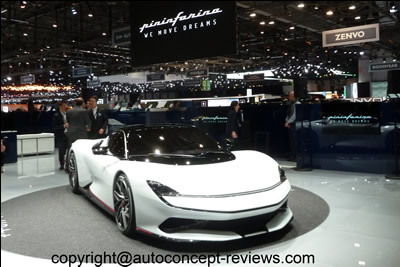 Named after Battista "Pinin" Farina, founder of Carrozzeria Pinin Farina, which he started in 1930, the Battista represents the best possible application of Pininfarina's ability to offer turnkey projects. 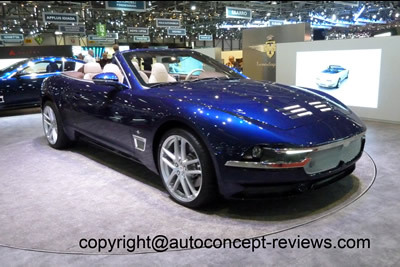 The car was designed in the style centre of Cambiano, Turin, by the team led by Carlo Bonzanigo, and will be hand-built in very limited numbers, again at the Pininfarina atelier. 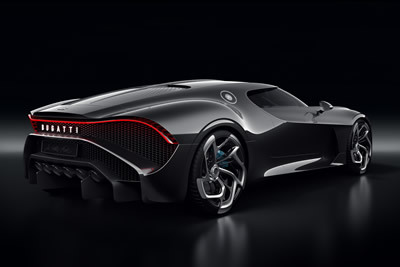 Designed to be the world's first luxury electric hyper performance GT, the Battista's carbon fibre bodywork hides extreme levels of technology and functional design. 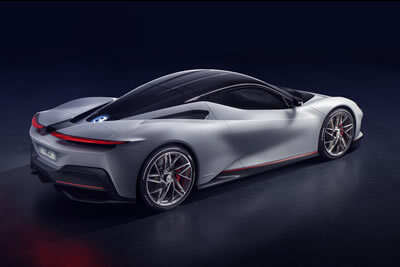 Power and torque equate to 1,900 hp and 2,300 Nm, providing acceleration from 0 to 100 km/h in less than 2 seconds, all with a potential zero-emissions range of up to 450 kilometres. 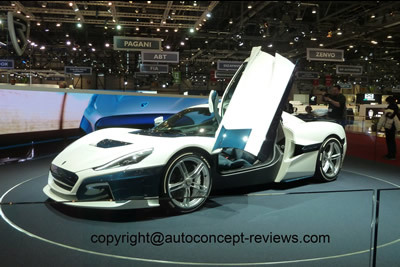 Rimac Automobili will adapt its world-beating battery technology to the demands and desires of the connoisseurs and collectors who will take ownership of the Battista. 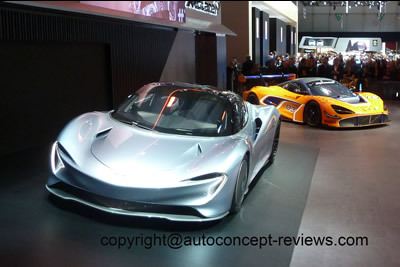 Track testing of the first GT race car to be developed by McLaren Automotive’s new customer racing division is well underway since August 2018 and will see the McLaren 720S GT3 test extensively across Europe, the US and Middle East. 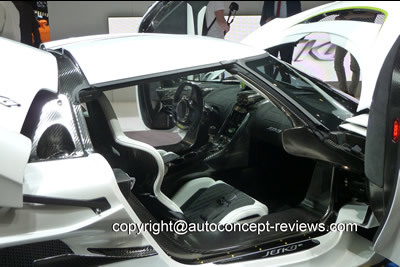 The new GT3 challenger, which is based on the acclaimed 720S supercar, is being readied for its competition debut in 2019 when it will be eligible for all GT3 grids globally. 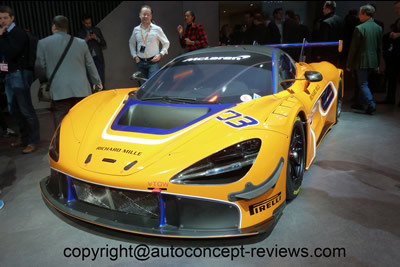 Pricing for the McLaren 720S GT3 is confirmed at £440,000 Ex Works, with first examples available to customer teams for entry into major GT3 championships in 2019. 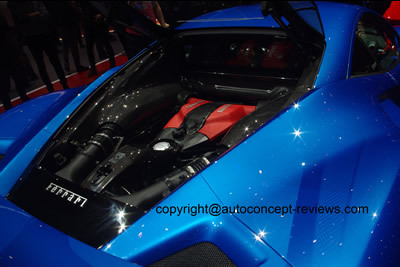 The front and rear suspensions are made entirely of aluminum and high-strength steel with double overlapping triangles. 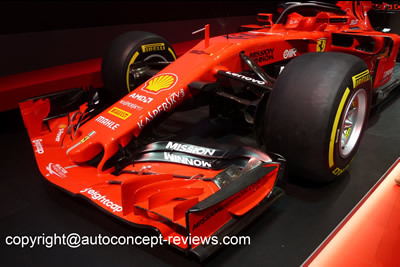 The innovation of this new system is that the shock absorber unit has been replaced with a new hydraulic system, connected to a fully adjustable 3-way shock absorber. 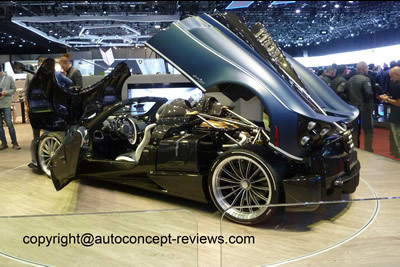 This hydraulic system allows you to vary vehicle trim and decouple the two springs mounted on the shock absorber body. 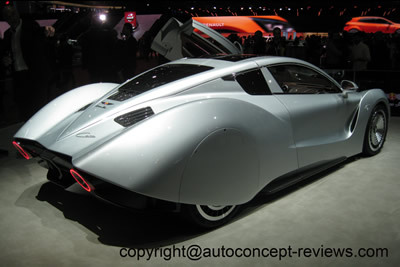 Hispano Suiza Carmen Electric supercar - 19 examples scheduled at 1.5 million Euros without taxes. 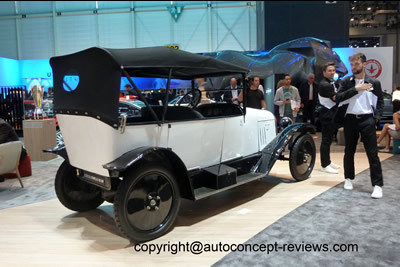 The Spanish Hispano Suiza brand was initiated in 1904 and produced some 12000 luxury cars between 1904 and 1946. 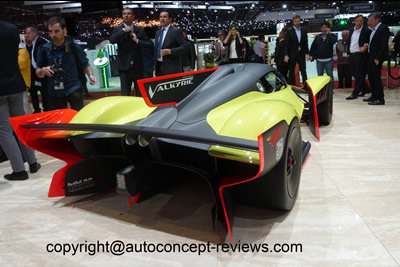 The great grand son of the Company founder is trying to reintroduce this activity with the Carmen Electric supercar. 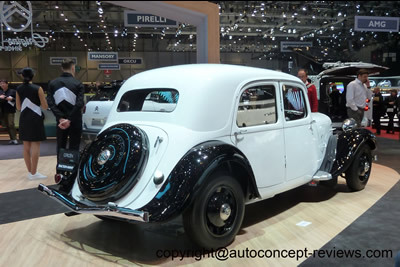 The production car world premiere is the realisation of a lifelong ambition for the Suque Mateu family and, in particular, for Miguel Suque Mateu, current President of Hispano Suiza and great-grandson of the brand’s founder. 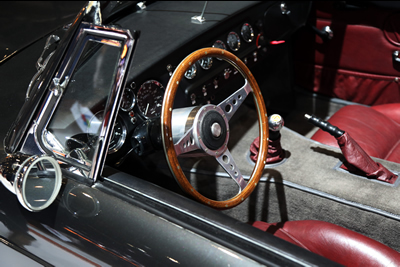 The Carmen is inspired by the unique style and elegance of Mr Suque Mateu’s mother, Carmen Mateu (1936-2018). 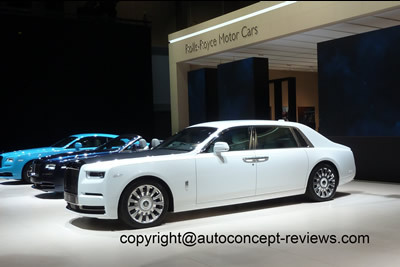 The all-new production model has been created from the ground-up to deliver an exceptional and luxurious driving experience. 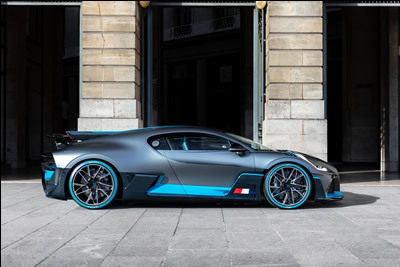 Combining an advanced, fully-electric 750 kW (1,019 PS) powertrain with a bespoke super-stiff carbon fibre monocoque, double-wishbone front and rear suspension and torque vectoring, Carmen delivers exceptional dynamics, with a focus on thrilling performance and an easy-to-drive character. 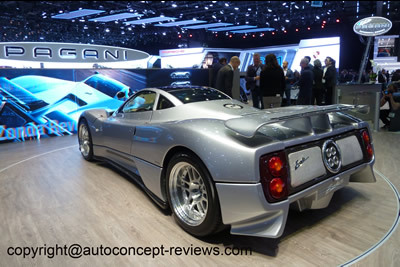 With such prodigious power, and a kerb weight of just 1,690 kg, the Carmen has world-class performance capabilities: 100 km/h is reached in under three seconds, and top speed is electronically-limited to 250 km/h. 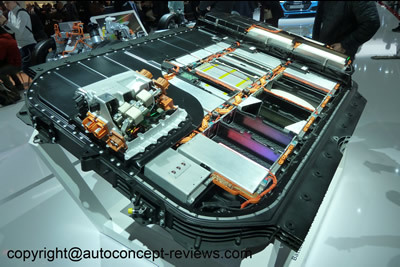 The Lithium-ion 80 kWh batter(y is assembled locally. 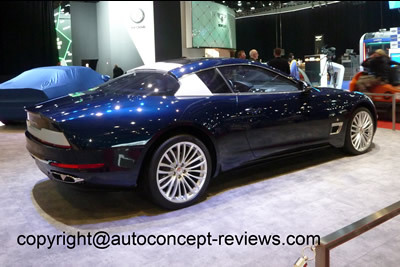 The Carmen’s highly emotive and striking design perfectly balances aggressive sportiness and timeless elegance, in a profile that is clearly distinguishable from anything else on the road. 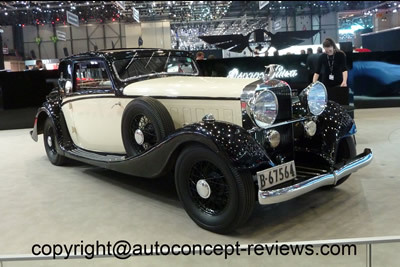 The styling is heavily influenced by mould-breaking Hispano Suiza cars of the early 20th century, specifically the 1938 Hispano Suiza H6C Dubonnet Xenia, of which only one example was ever produced. 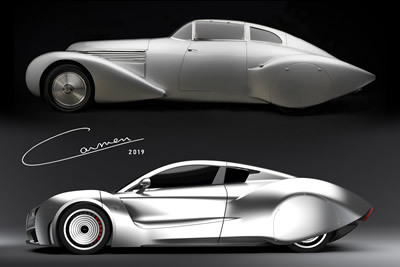 The Hispano Suiza Carmen will cost from €1.5m (plus taxes), and only 19 examples of the Carmen will be produced from late 2019 until 2021. 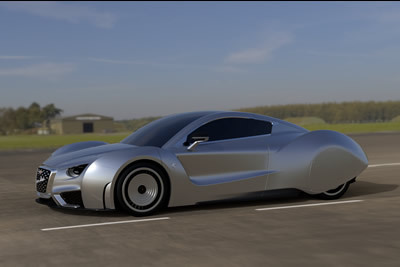 The Hispano Suiza Carmen’s design, engineering and production has been undertaken in Barcelona by a skilled team of highly-experienced experts at QEV Technologies, an electric powertrain and motorsport engineering specialist. 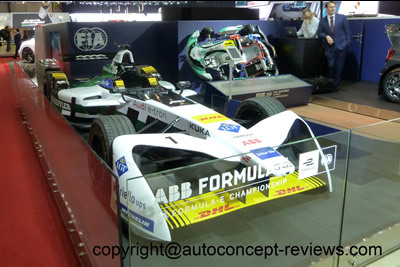 QEV is involved in the development of Mahindra Formula E and is part of European R&D Division of Chinese BAIC Company. 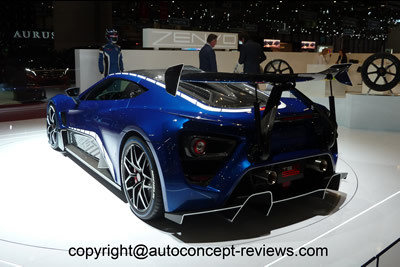 The Danish Zenvo TSR S, introduced in 2018, has been completely redesigned and reengineered for optimum aerodynamic performance. 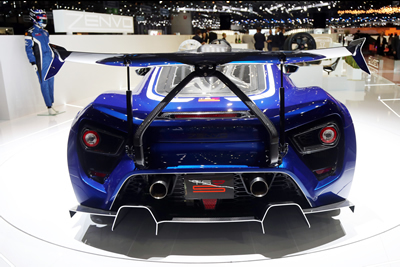 Combined with a further improved active rear differential and an advanced traction control system, this enables the Zenvo TSR S to deliver unrivalled performance with 0 to 100 kph (62 mph) in 2.8 seconds. 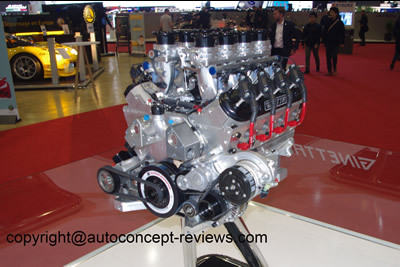 The engine is in-house developed twin supercharger 5.8 Litre V8 high revolution engine producing a maximum 1177 hp at 8.500 rpm. 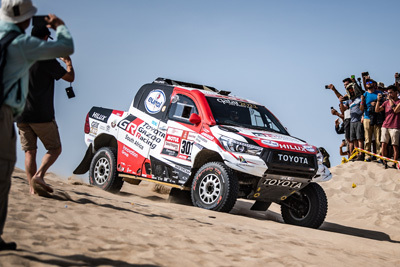 Total weight is announced at 1495 kg. 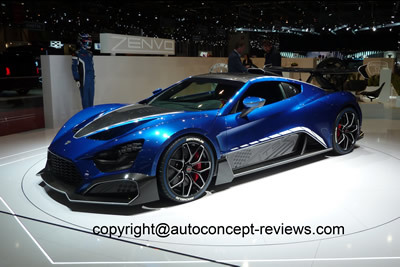 The Zenvo TSR-S include a brand new Zentripetal wing that is a multi-rotational function wing providing both an air brake and a cornering stabilizer. 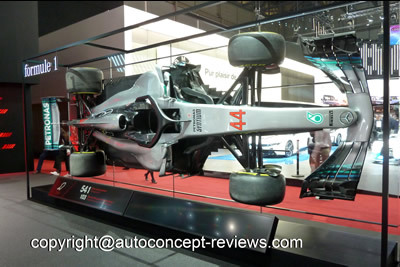 During cornering, the wing lift to provide downforce and tilt to deliver optimum amount of cornering grip at any speed. 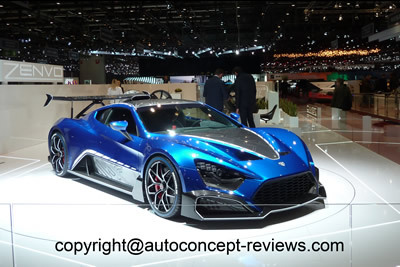 "Like all of our cars, the Zenvo TSR S is 100% Danish-designed and hand-built in an extreme limited number," says Marketing Director Peter van Rooy. 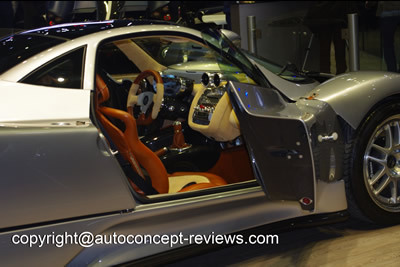 "Each car is fully customisable and built to order, tailored to the precise specifications of the discerning client." 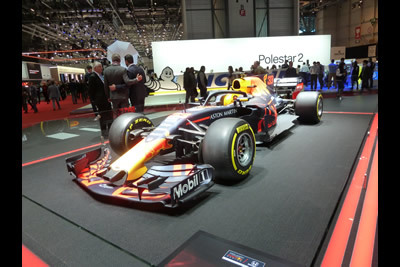 Five cars are allocated every years. 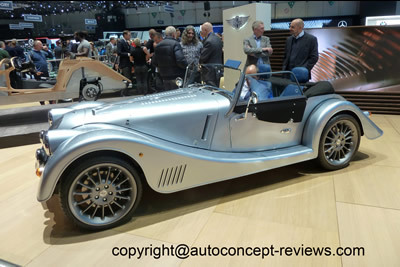 After the coupeversion completed last year, Touring Sciàdipersia Cabriolet is an open-top grand tourer, which recreates the luxury and elegance synonymous with the Golden Age of Motoring. 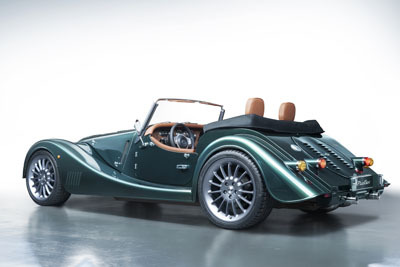 Four full-sized seats allow all occupants to enjoy their journey in supreme comfort, while the driver has the pleasure of harnessing the immense and smoothly-delivered power from one of the last great atmospheric V8 engines and reveling in its glorious soundtrack. 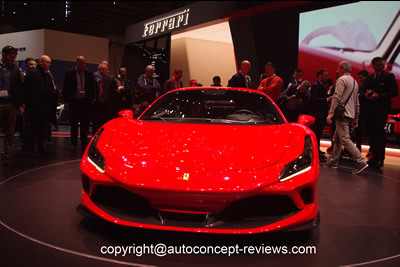 Sciàdipersia is built entirely by hand in the Touring Manifattura in Milan blending traditional hand-beaten aluminium panels with lightweight carbon fibre elements. 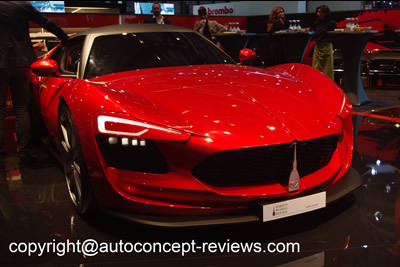 The Rimac Concept Two required four years of intense development in Croatia. 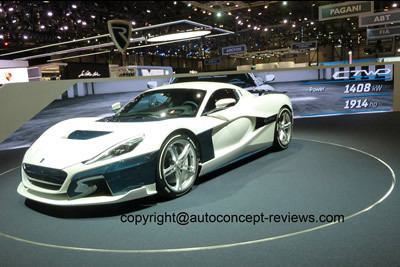 It is created by Rimac Automobili in-house team of designers, engineers and craftmen. 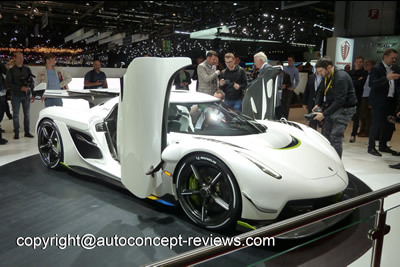 It is a pure electric hypercar. 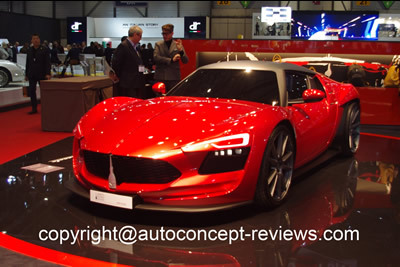 Rimac Automobili is also developing electric powertrain for major car manufacturers like Renault, Aston Martin, Koenigsegg. 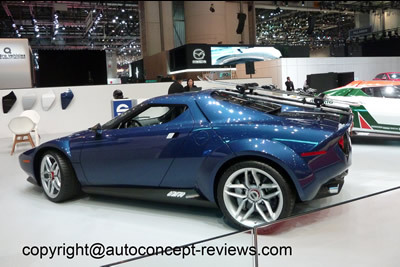 With its Lithium-Manganese-Nickel chemistry the Rimac Concept Two liquid cooled battery pack holds 120 kWh and is claimed to allow 650 km range on a single charge (NEDC cycle). 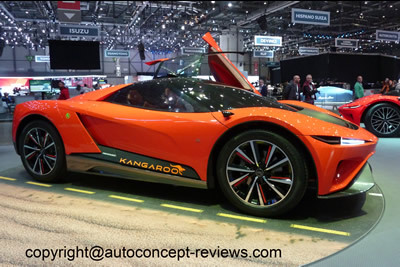 The electric powertrain produces a maximum 1408 kW (1914 hp) and 2300 Nm maximum torque from 0 to 6500 rpm. 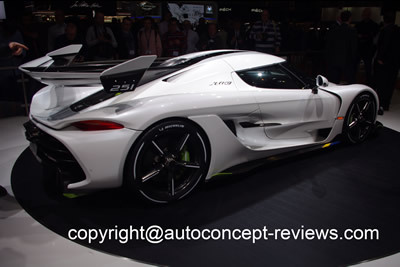 Top speed is claimed at 412 kph (256 mph) and standing start 0 to 60 mph could be completed in 1.85 seconds while 0 to 300 kph (186 mph) is announced in 11.8 seconds. 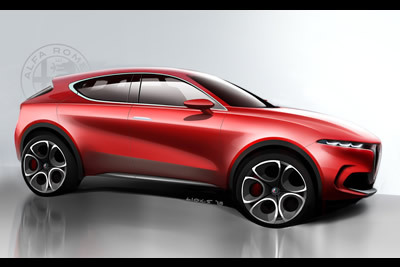 The concept car debuts as the first Alfa Romeo mid-size plug-in hybrid SUV. 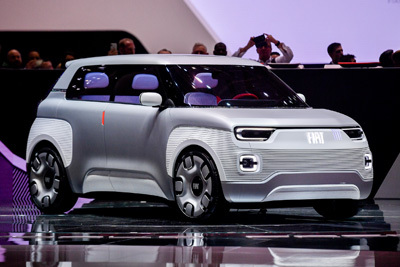 The Fiat Concept Centoventi, the concept car that perfectly expresses the Italian brand's idea of electric mass mobility in the near future. 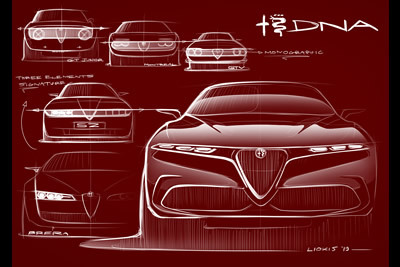 It is the expression of a bold, democratic future vision based on 120 years of history and experience in the field - hence the name of the prototype that means "One Hundred and Twenty" in Italian - which, maintaining the tradition, is destined to break away from the past and push beyond. 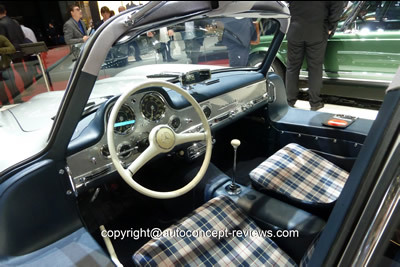 Just as in the Fifties, for example, when the Fiat 500 sparked an industrial and cultural revolution, overcoming traditional categories in looks, design and engineering to become a masterpiece, unlike anything else in the automotive industry history, the first real example of mobility affordable to the mass market. 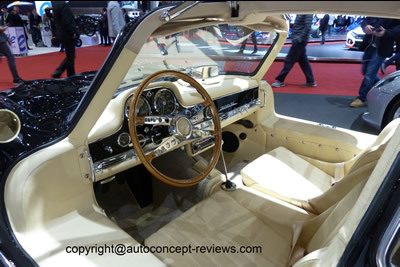 Modular, roomy and well lit are the words that best describe the Fiat Concept Centoventi cockpit, which is totally reconfigurable and can accommodate up to four people. 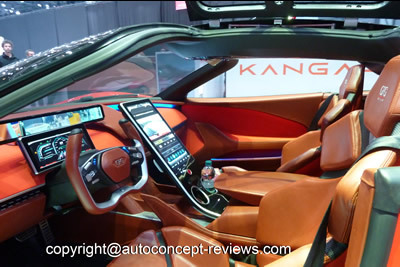 You only have to get on board to realise that it has been designed around people and the way they relate to today's world. 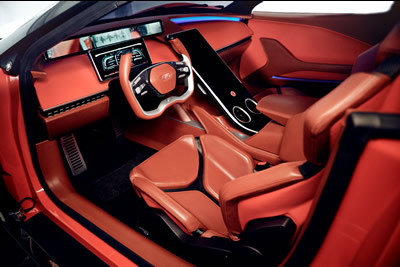 The freedom to customise is also clear in the electrical power source that drives Fiat Concept Centoventi. 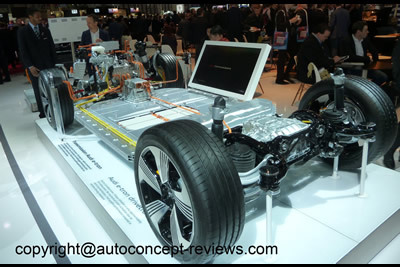 It consists of a set of modular batteries offering the great possible flexibility of use. 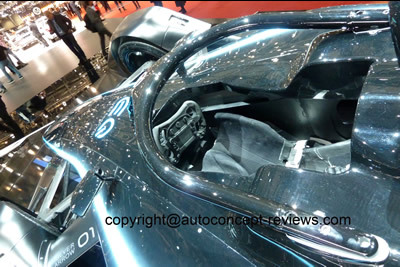 As standard, the car comes with a factory-mounted battery with a range of 100 km. 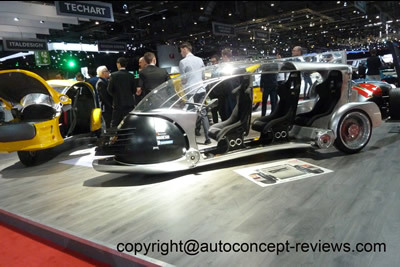 But if a longer range is needed, up to 3 additional batteries, giving an increase of 100 km each, can be purchased or hired. 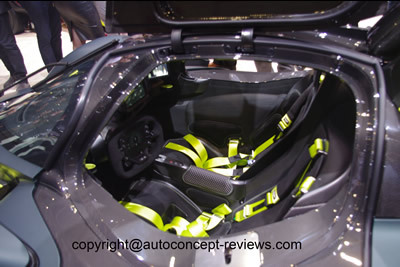 The extra batteries are installed underneath the floor of the car, by the service network. 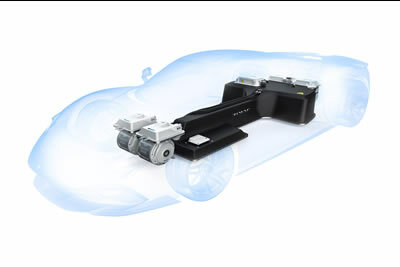 A sliding rail which supports and connects the batteries makes their installation or removal particularly quick and easy. 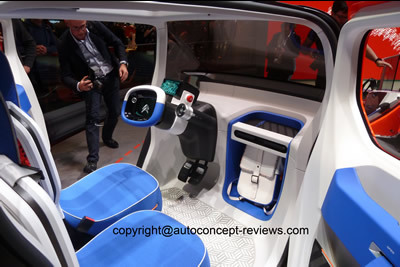 An additional battery, for mounting under the seat, is also available; it can be disconnected and put on charge directly in the user's home or garage, just like the battery of a modern e-bike. 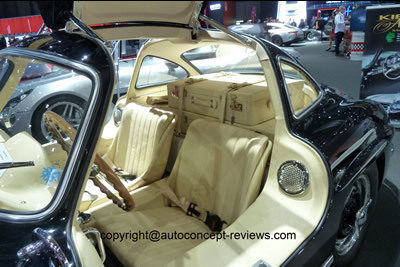 The total range which can be achieved is 500 kilometres. 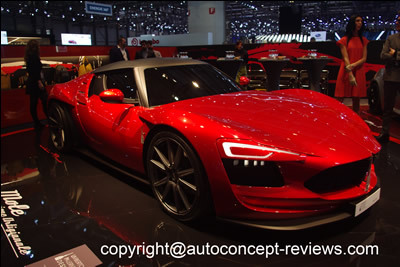 Audi is systematically and comprehensively continuing its electric car offensive. 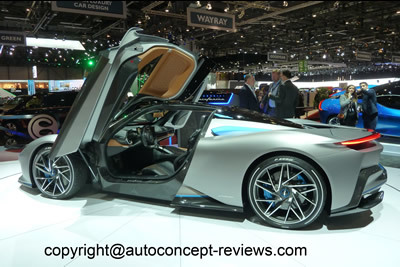 At the 2019 Geneva Motor Show, the brand was showing four all-electric drive vehicles, the series versions of which will celebrate their premiere by the end of 2020. 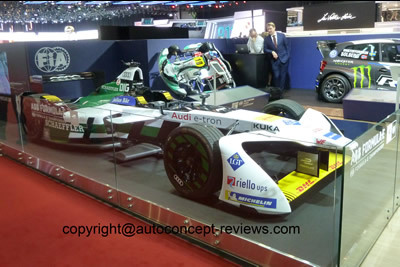 In addition, four new plug hybrid versions as a world premiere and the fully electric Formula E race car Audi e-tron FE05 was displayed on the Audi stand – which consists exclusively of electrically driven cars this year. 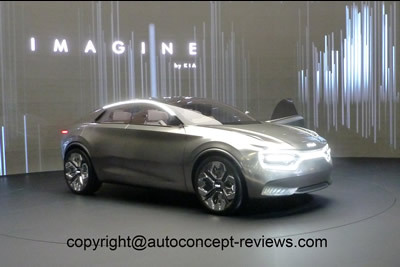 The Audi Q4 e-tron concept and the European debut of the Audi e-tron GT concept was unveiled. 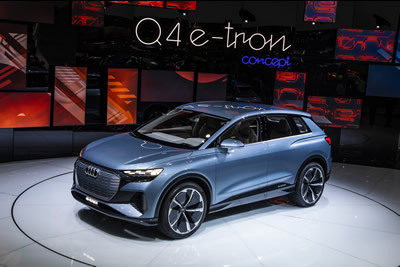 The Audi Q4 e-tron concept is a compact four-door SUV with an exterior length of 4.59 meters whose relation to the Audi e-tron is apparent at first glance. 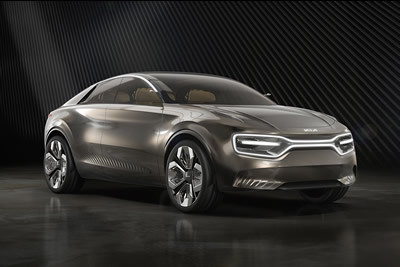 Two electric motors mobilize 225 kW of system power in the Q4 e-tron concept. 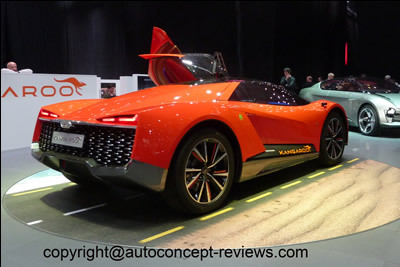 As is typical for Audi, the driving power of the concept vehicle is brought to the road with quattro all-wheel drive. 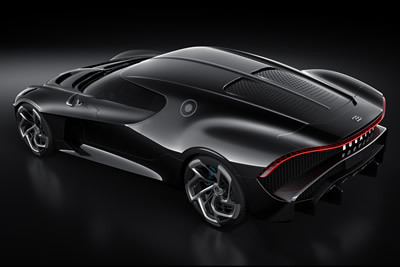 Thanks to excellent traction, it accelerates from zero to 100 km/h in just 6.3 seconds. 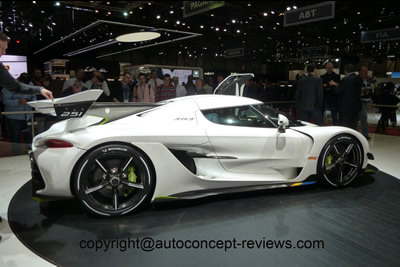 It reaches its maximum speed at an electronically limited 180 km/h. 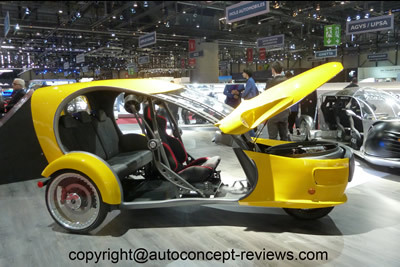 A large battery with a capacity of 82 kilowatt hours takes up almost the entire space in the underbody area between the axles. 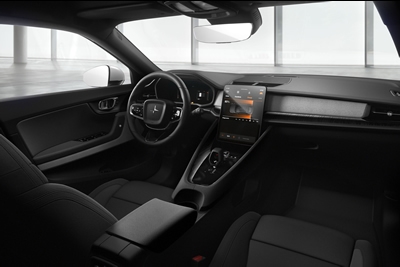 The range of over 450 kilometers – in line with the WLTP standard – sets the benchmark in its class. 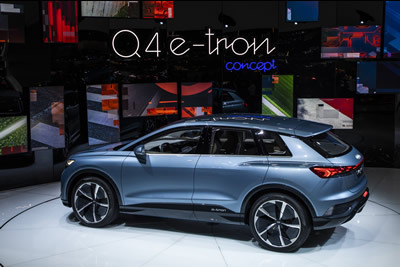 The technology of the Q4 e-tron concept controls the modular electrification platform (MEB) that will be integrated in numerous electric vehicles produced by the Volkswagen Group in the future, from the compact class to the superior medium-size class. 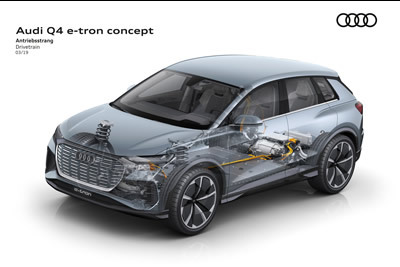 The Audi Q4 e-tron concept gives an advance look at what will already be the fifth series production electric vehicle that the manufacturer will introduce by the end of 2020. 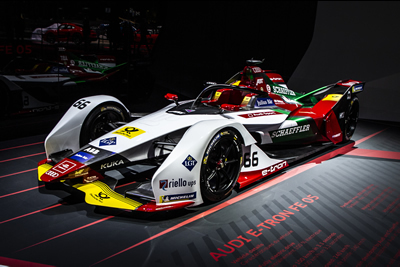 Audi e-tron, the third: Last fall, the brand with the four rings presented one of the stars of the motor show in the film capital of Los Angeles. 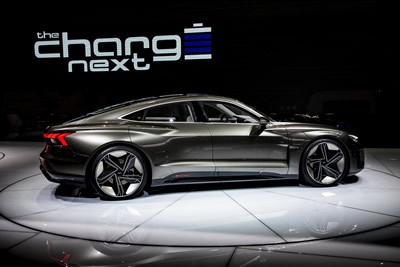 With the electric-powered Audi e-tron GT concept, a four-door coupé made its debut as a show car. 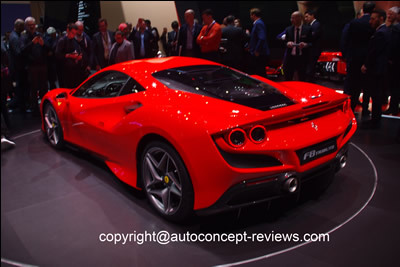 The volume-production counterpart is set to follow in around two years. 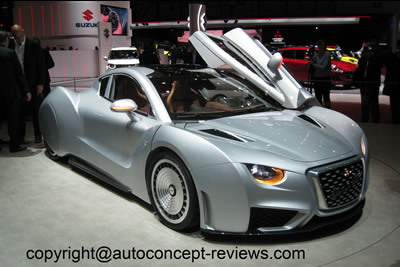 Audi is now showing the Audi e-tron GT concept at the Geneva Motor Show. 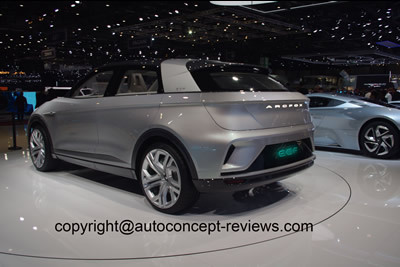 The next electric Audi is being launched, following in the footsteps of the Audi e-tron SUV and the Audi e-tron Sportback slated for 2019. 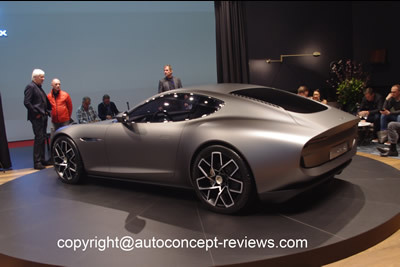 This time with a flat-floor architecture that provides for exciting proportions and a low center of gravity. 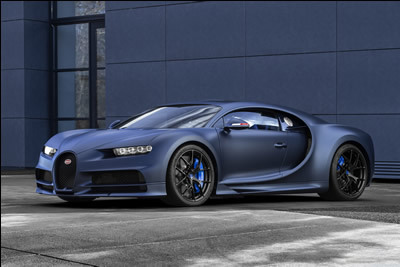 434 kW (590 metric horsepower) ensures performance fit for a sports car. 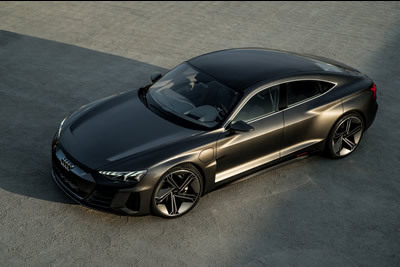 The torque is transferred to the wheels via the quattro permanent all-wheel drive with torque vectoring, as you would expect for such a dynamic Audi. 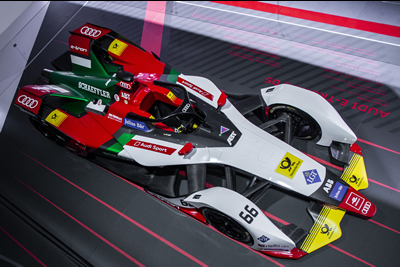 The performance subsidiary Audi Sport GmbH is responsible for subsequently transforming the car into a volume-production model. 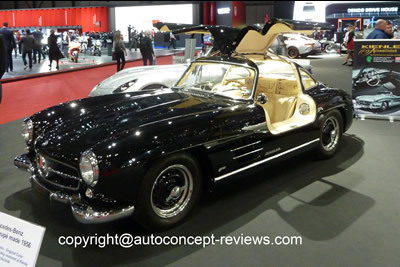 Flat, wide and with a long wheelbase – those are the proportions of a classic Gran Turismo. 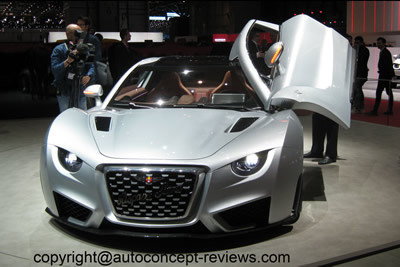 And the Audi e-tron GT concept reflects these with its 4.96-meter length, 1.96-meter width and 1.38-meter height. 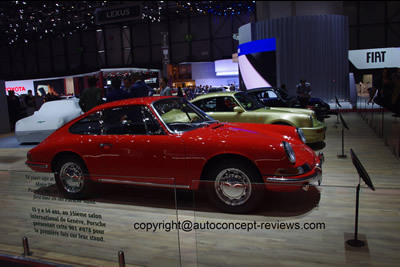 The lightweight body of the four-door coupé is manufactured using a multimaterial construction. 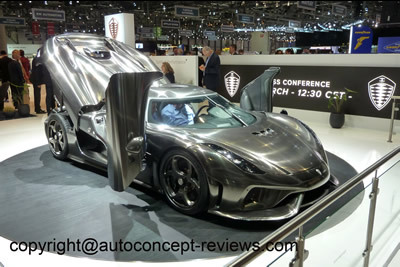 Here you have a roof section made from carbon along with numerous aluminum components and supporting elements made from high-strength steel. 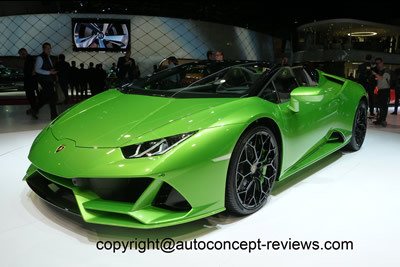 With the ID. 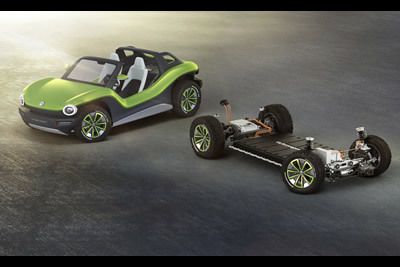 BUGGY, the Volkswagen brand presents a new facet of the modular electric drive matrix (MEB). 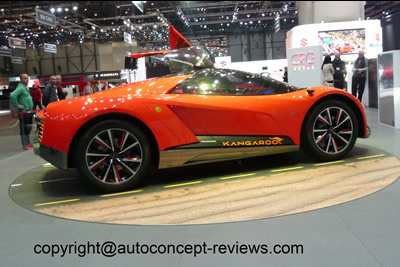 The purist design of the fully electric concept car is a modern interpretation of the popular US dune buggy of the sixties and seventies. 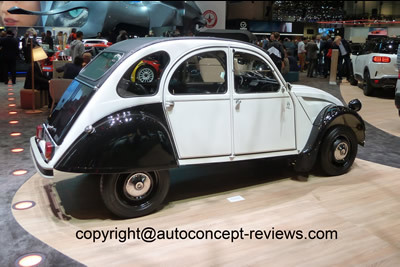 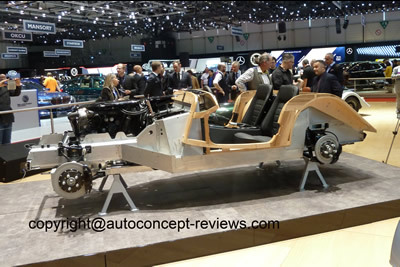 At that time, the Beetle chassis served as the basis. 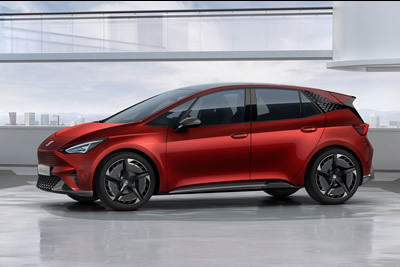 Today, the MEB demonstrates similar flexibility and Volkswagen once again underscores the platform’s potential in the shape of the ID. 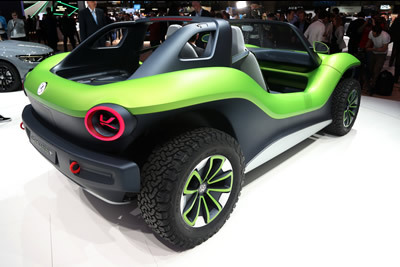 BUGGY. 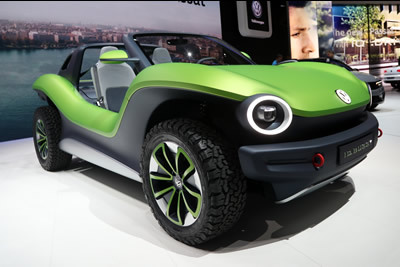 The MEB is the technical foundation for the Volkswagen brand’s ID. 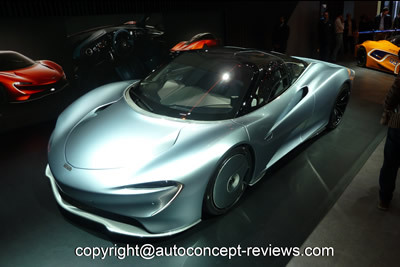 family, the coming generation of electric vehicles. 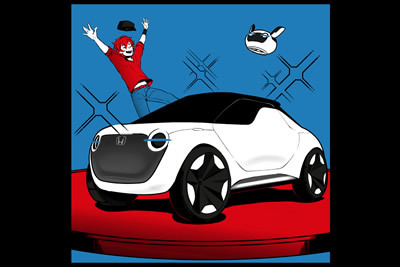 The ID. 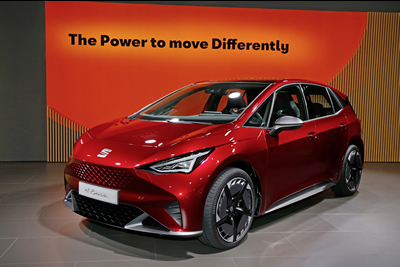 family includes, for example, the compact ID., which will begin rolling off the assembly line in Zwickau at the end of 2019, the ID. 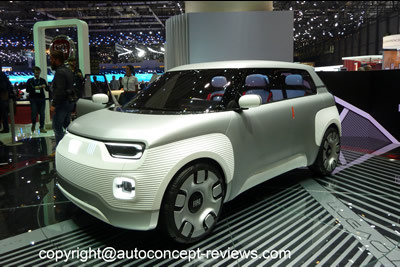 BUZZ van, the ID. 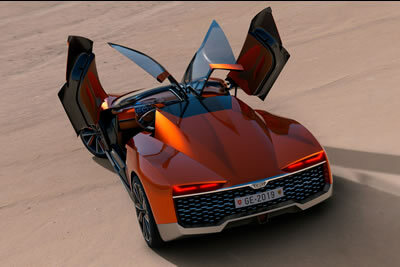 CROZZ SUV model and the ID. 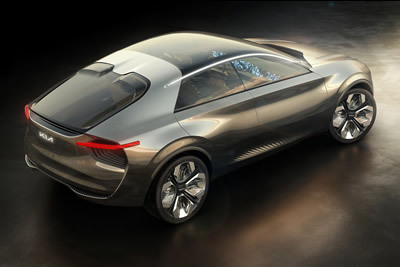 VIZZION sedan. 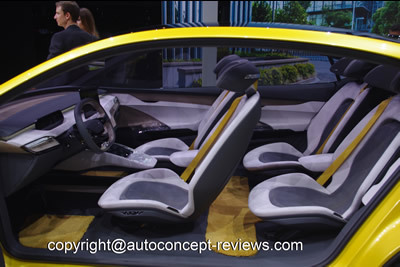 The platform is to be used Group-wide for 15 million vehicles by 2025. 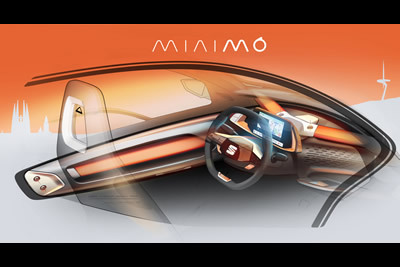 Ami One Concept is a 100% connected urban mobility object in which the smartphone is central to the man-machine interface and makes driving intuitive and serene. 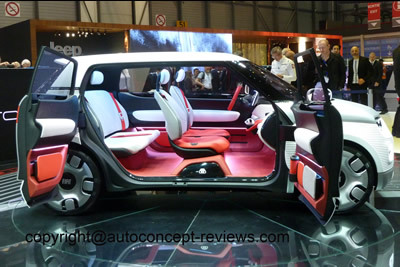 Motorists access Ami One Concept using their smartphones. 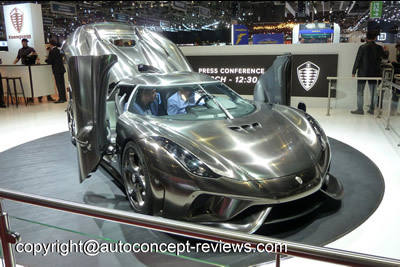 The doors lock and unlock via a QR code on the aluminium base of the door handles. 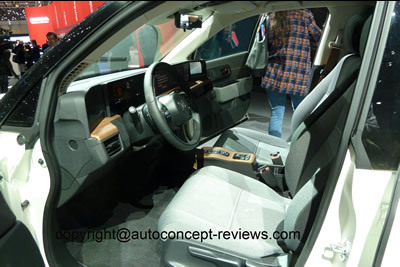 Once inside, drivers place their phone in front of them in a dedicated area. 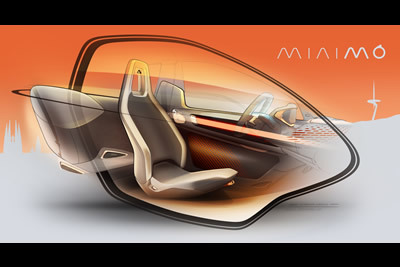 With their telephone stored in this wireless induction charging area, the conversation between Ami One Concept and the driver may begin. 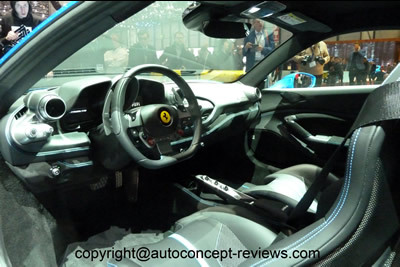 Depending on the app used, the screen display is in bubble form, projected on the reflection panel in the driver’s field of vision as with a head-up display system. 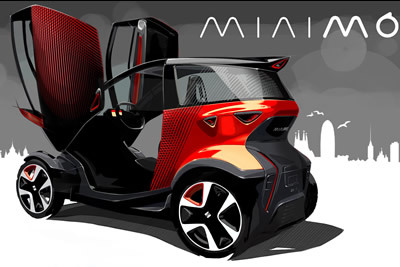 Seat has taken the wraps off a vision of the future of urban mobility with the unveiling of its concept Minimo. 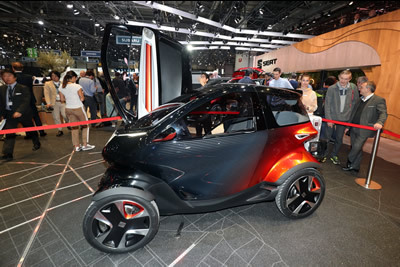 The all- electric quadricycle has been developed to help meet the challenges of city driving, emission regulations whther that's stricter laws on what vehicles can enter urban areas, the increasing fatigue of traffic jams or the lack of parking spaces. 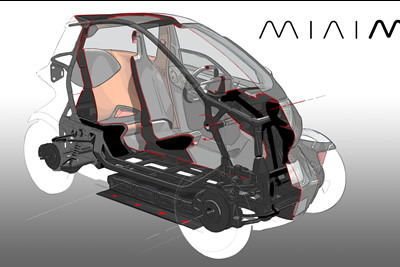 The Minimo brings together the benefits of the smaller dimensions of a motorcycle with the safety and comfort of a larger passenger vehicle, minimising the many pain points of travelling around cities. 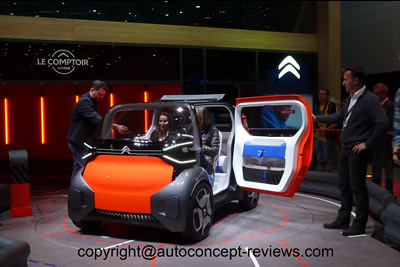 With a length of 2.5 m and a width of 1.24 m the concept car is compact enough to traverse even the most congested of city street and propose a reduced footprint of only 3.1 square meter much less than 7.2 square meter of a regular city car. 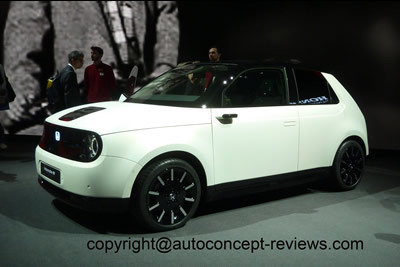 The Seat el-Born is the first all electric Seat vehicle based on the Volkswagen Group MEB platform. 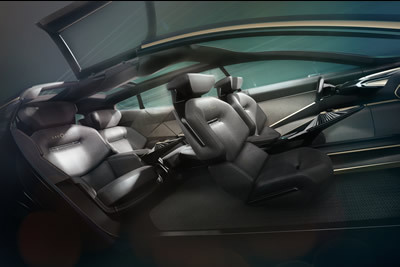 The all electric car incorporates state-of-the-art autonomous functionality and connectivity technologies to enhance driving experience. 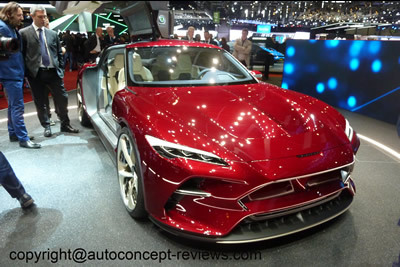 The vehicle's 62 kWh energy dense battery pack can be recharged in as little as 47 minutes, replenishing its range of up to 420 km with a 100 kW DC supercharging. 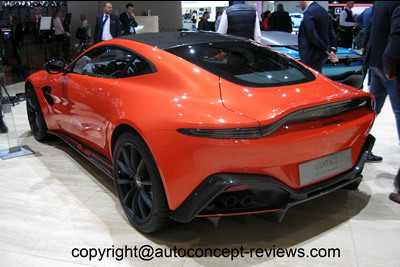 With a power output of up to 150 kW(204 PS) the vehicle can reach 100 kph in as little as 7.5 seconds. 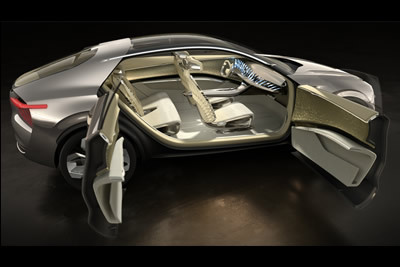 "el-Born is the ultimate translation of our emotional Seat design language into a new world of electric vehicles. 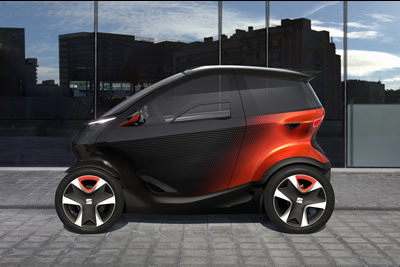 Our Design Team has taken very seriously the challenge of making our first full electric vehicle attractive. 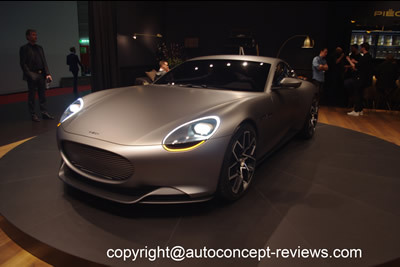 I believe that driving electric cars has to be thrilling, has to be fun. 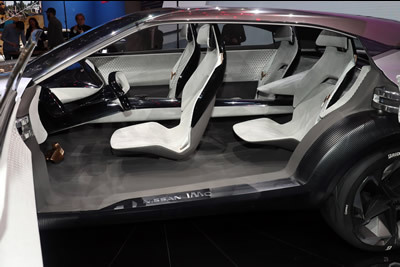 We have to make customers fall in love with the idea of the electric car." 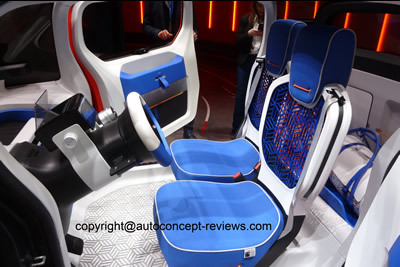 said Alejandro Mesonero-Romanos, Director of Design at Seat. 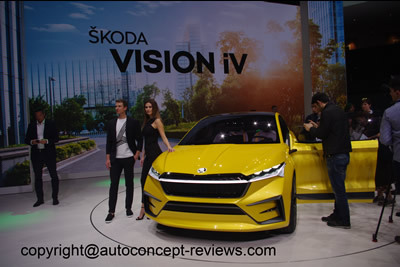 The Skoda Vision iV is the first full-electric car introduced by Skoda and is expected for production in 2020. 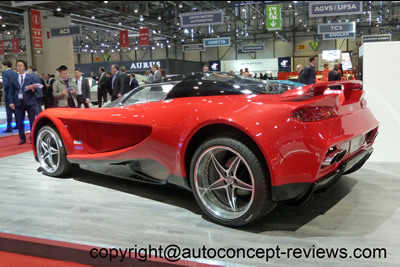 The Skoda Vision iV is based on the Volkswagen Group MEB electric platform. 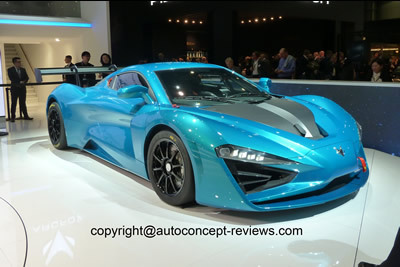 Propulsion is by two electric motors for a total power of 225 kW or 306 hp allowing for a top speed of 180 kph and an operating range of up to 500 km. 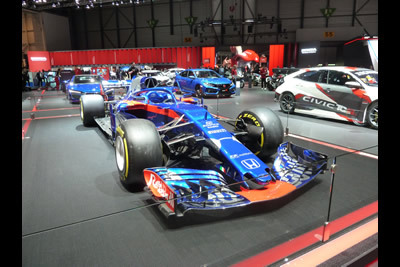 Honda took to the stage at Geneva today to announce the further acceleration of its electrification ambitions by unveiling Honda e-Prototype.. 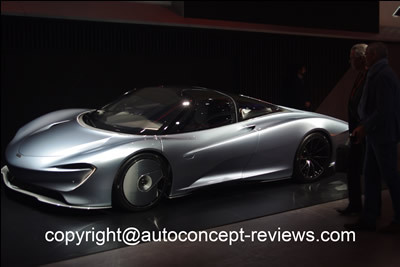 The company announced its intention to move 100 per cent of its European sales to electrified powertrains by 2025. 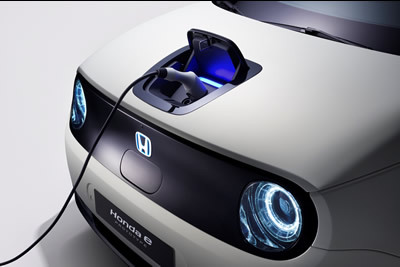 This new ambition builds on the brand’s 2017 aim of two-thirds of its sales to be electrified by 2025, and places it firmly at the forefront of Honda’s global electrification shift announced as part of its 2030 vision. 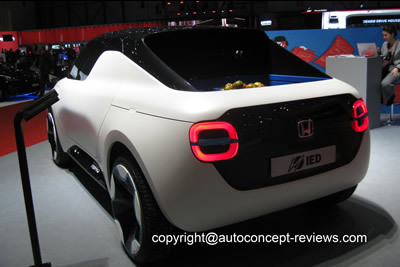 The prototype in exhibit previews Honda’s first production battery electric vehicle for the European market. 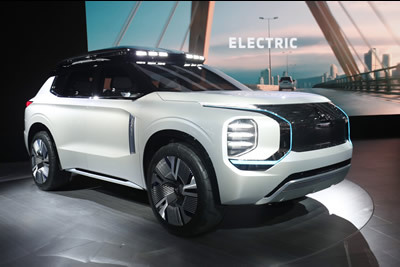 Positioned as an urban commuter, the car features a competitive range of over 200km and a ‘fast charge’ functionality providing 80% range in just 30 minutes. 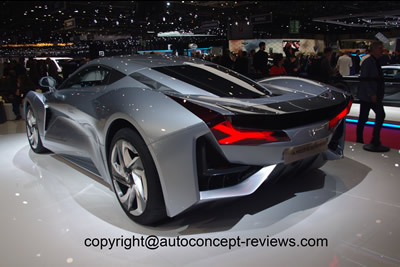 It also features trademark Honda driving dynamics with a sporty rear wheel drive configuration. 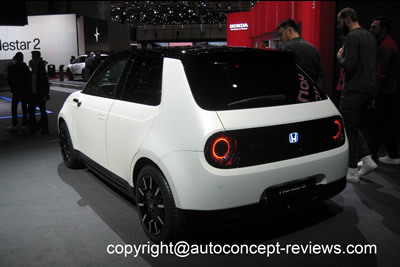 The production version of the Honda e Prototype will be unveiled later this year. 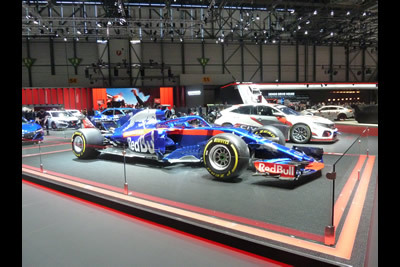 The Red Bull and Toro Rosso Formula One shall be powered by Honda starting from the 2019 Championship season. 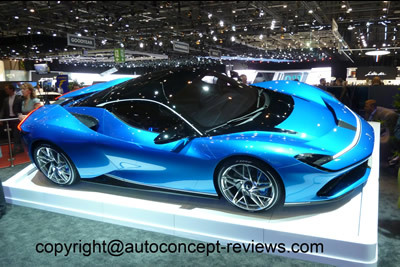 Technical highlights of the vehicle include a range of up to 400 kilometres and rapid charging to enable a range of 100 kilometres within just 15 minutes. 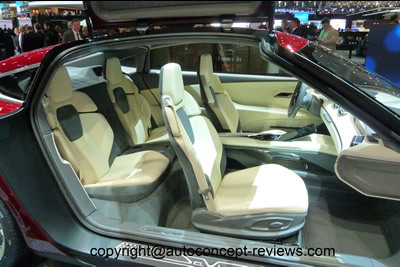 What's more, the vehicle offers the greatest possible level of comfort in its interior and maximum functionality, for example thanks to the diverse range of possible seating configurations. 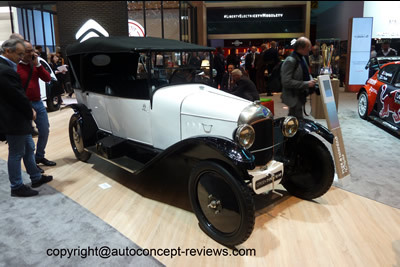 The first Mercedes electric car, the “Electrique”, could be seen on the roads in Austria at the turn of the twentieth century. 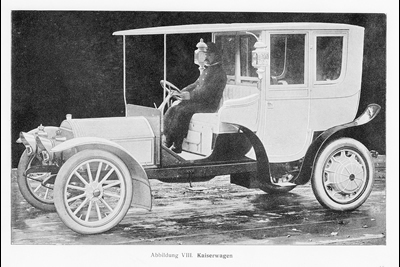 The Mercedes Electrique was produced between 1906 and 1908. 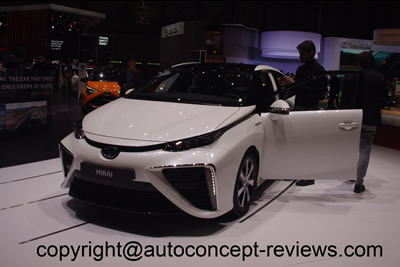 However, electric drive systems could not, at the time, compete with the internal combustion engine in terms of power and range. 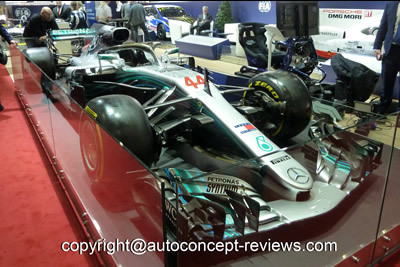 The Formula E show car represents the entry of the Mercedes-Benz EQ Formula E team into the ABB FIA Formula E Championship in the 2019/2020 season. 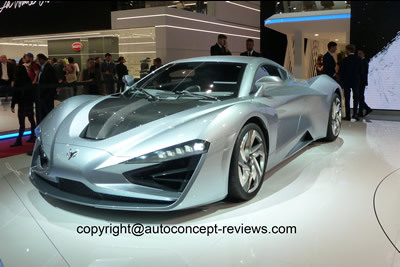 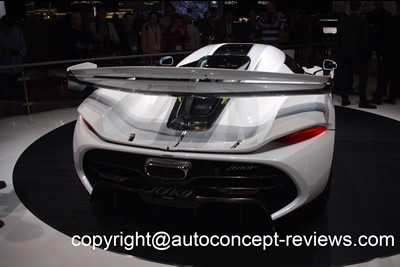 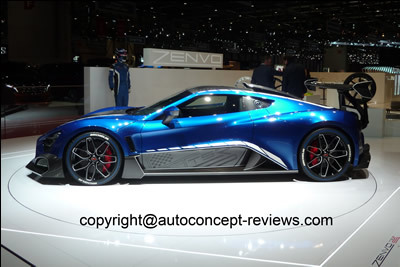 ARCFOX, a sub-brand of Chinese BAIC BJEV R&D Center impressed audiences at the Geneva International Motor Show with its three new models, including ARCFOX-GT Track edition, ARCFOX-GT Street edition and the ARCFOX ECF Concept car. 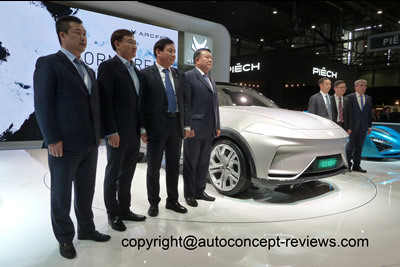 As the pioneer in the field of new energy in Chinese BAIC Group, ARCFOX is positioned as a premium brand of BAIC BJEV that pursues extreme performance and borderless design. 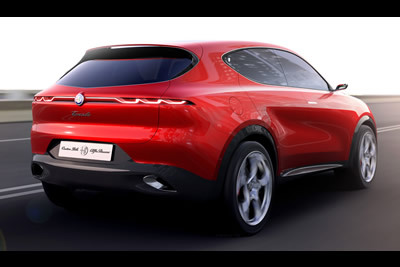 The new models inherit the features of ARCFOX-GT, which are produced at the high-performance vehicle R&D centre of BAIC Group in Spain, and have obtained the certification of the European professional institution. 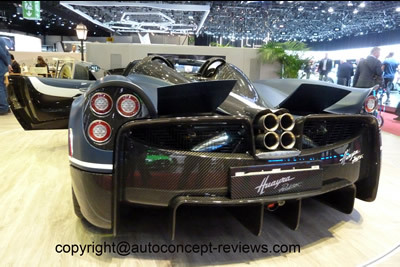 Its acceleration of 100 km/h has reached an astonishing 2.59 seconds. 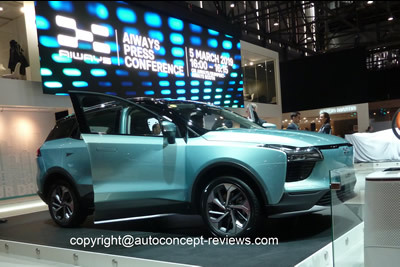 ARCFOX ECF Concept is the first ARCFOX identity concept car with smart cockpit and it is also ARCFOX's first premium intelligent SUV model with a quasi-L3 level for volume production. 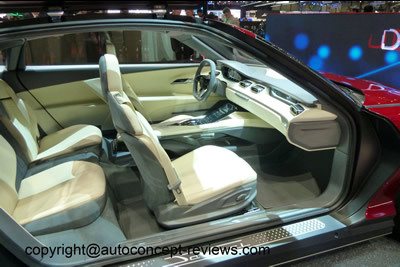 It is the first time for BAIC BJEV to introduce its premium brand to the international market. 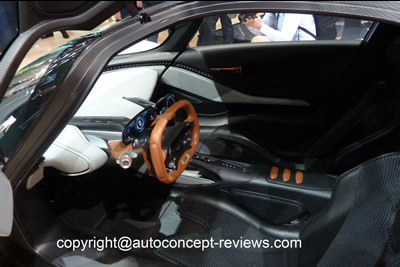 No technical details were available. 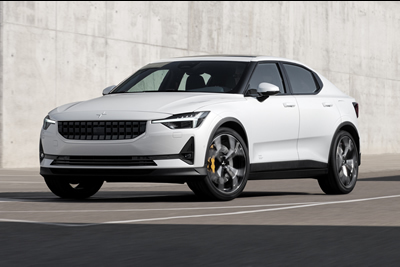 Polestar 2 is a premium five-door fastback with two electric motors and a 78 kWh battery capacity that will enable a targeted range of 500 km, based on Volvo Car Group’s adaptable Compact Modular Architecture platform (CMA). 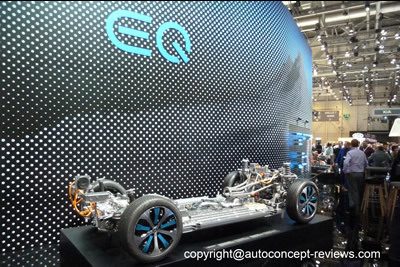 The 27-module battery pack is integrated into the floor and contributes to the rigidity of the chassis as well as improves the car’s noise, vibration and harshness (NVH) levels – road noise has been reduced by 3.7 dB compared to a traditional chassis. 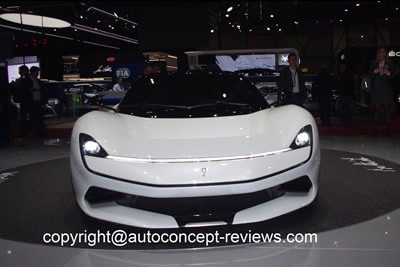 Polestar is part of the Chinese Geely Group that adquired Volvo Cars. 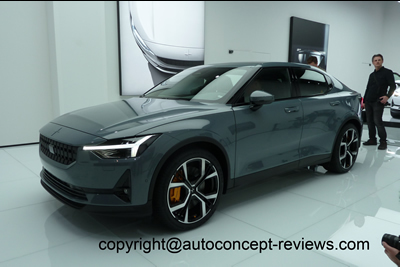 The Polestar 2 utilizes the same platform as the Volvo XC40. 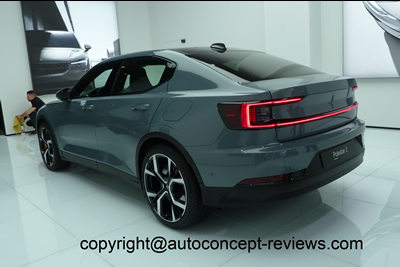 Production of Polestar 2 begins in early 2020 in China for global markets in both left- and right-hand drive. 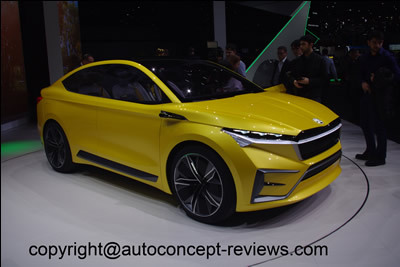 AIWAYS is a Shangai based Electric Car Company founded in 2017 and part of the Shangai Automotive Indutry Corporation (SAIC) partner of Volkswagen or General Motors. 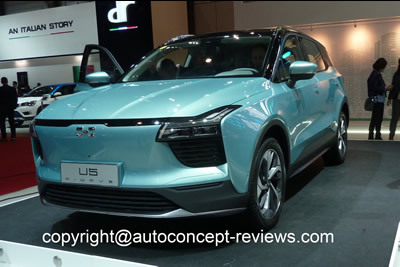 AIWAYS exhibited at Geneva its U5 Electric SUV it intends to introduce on US and European markets. 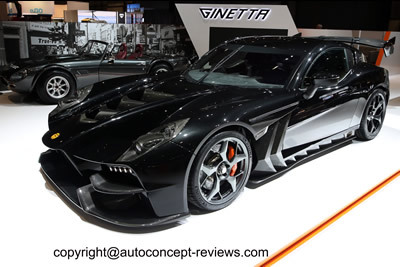 Ginetta introduced an all-new supercar at Geneva, it is designated Akula. 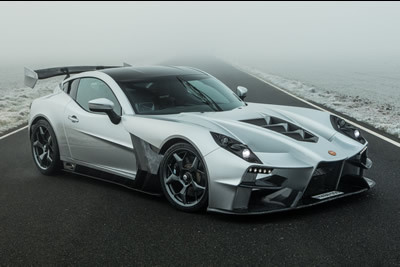 It was designed from a blank sheet of paper and manufactured in-house from Ginetta’s Leeds HQ to create an utterly capable supercar. 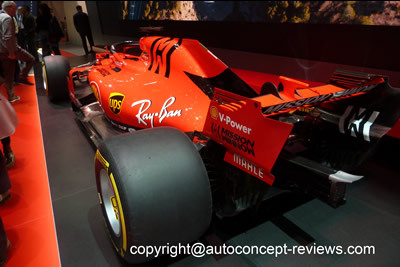 The powertrain was designed and manufactured in-house alongside racing division; the engine is an over 600 hp 6 Litre naturally aspirated 90° V8 with dry sump installed in front central position and connected to a six speed sequential paddle-shift with carbon propshaft. 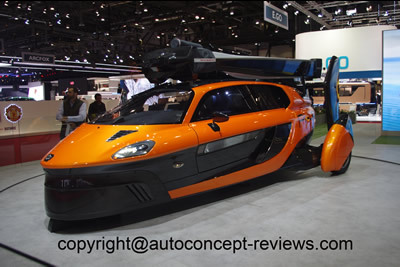 The Akula utilizes a carbon fibre monocoque with carbon fibre body. 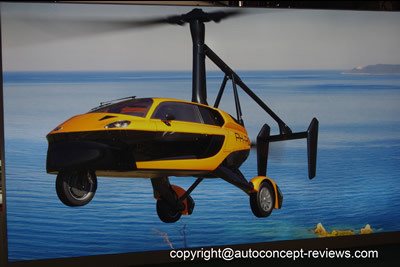 The dry weight of the Akula is announced at 1150 kg. 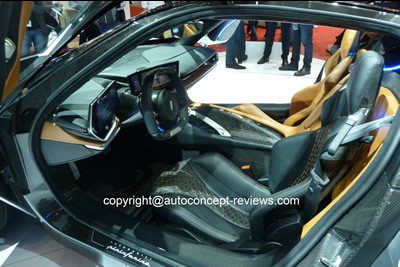 The production shall be limited to 20 units in the first production year of 2020 with 60% already sold. 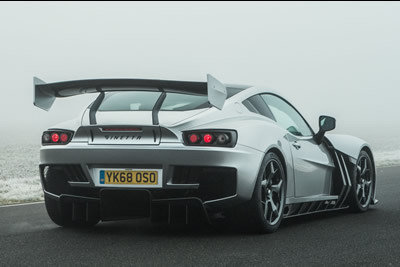 “I have felt for a long time there was a gap in the market at around the £400k price point for a genuinely low production number supercar, with proper craftsmanship and true race derived know-how and technology. " 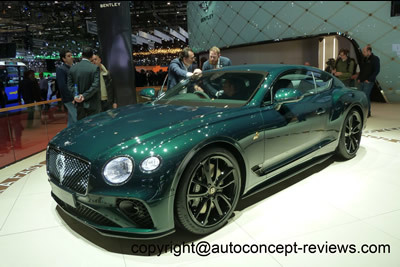 he added. 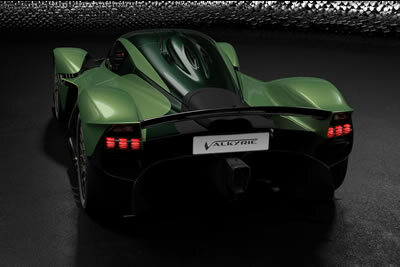 A true limited-edition vehicle, the Akula is priced at GBP 340,000 on the road. 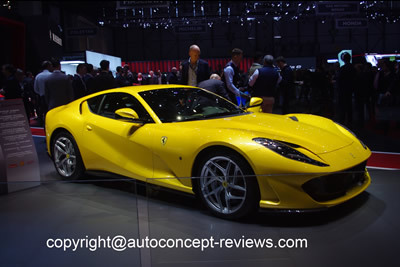 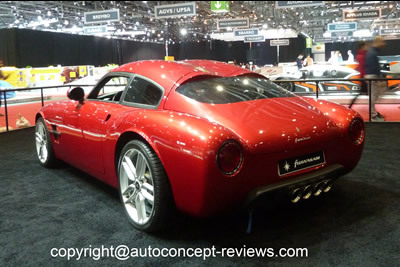 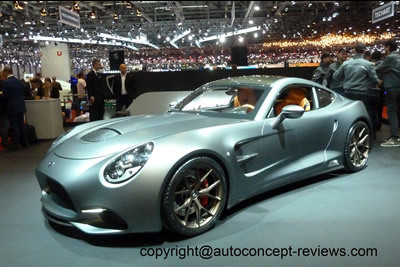 Puritalia Automobili, the custom-made, handcrafted, high-tech Italian sports car maker presented its new car, the Berlinetta, a super-hybrid 965 hp, total carbon fibre body at Geneva. 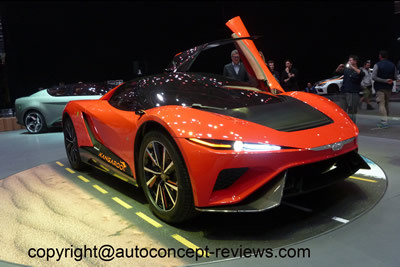 Only 150 will be made for demanding car enthusistas who want the experience of having their unique car built to their specifications. 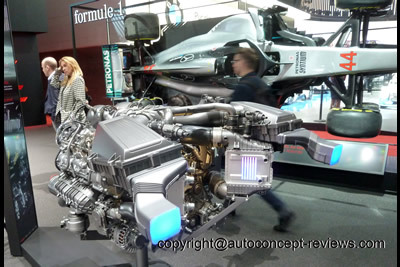 The propulsion results from a front mounted 750 hp- 878 Nm torque supercharged V8 combustion engine with a rear parallel mounted advanced electric motor. 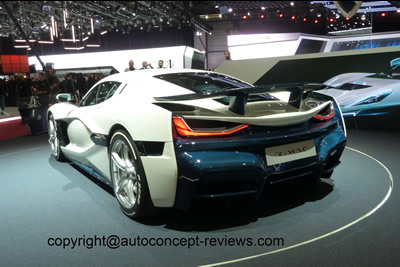 The advanced electric motor supplied by Yasa and produces up to 370 Nm of torque and 215 hp of peak power at a weight of just over 25 kg. 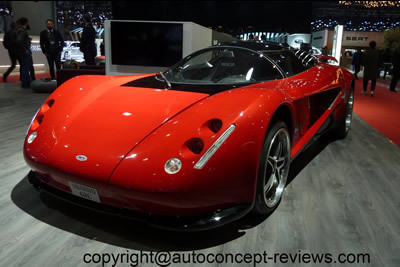 Puritalia Berlinetta has two-lithium-ion-phosphate (LiFePO) battery packs, entirely deigned and built by Puritalia, that guarantee a total capacity of 52 kWh. 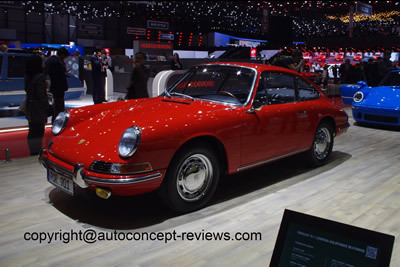 "We like to think that we don't sell our cars. 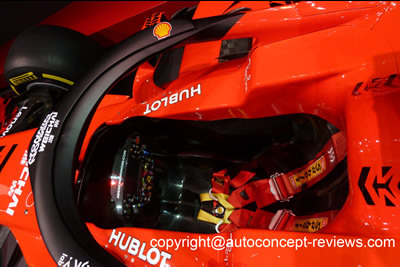 We entrust them to owners who can take care of them and enjoy them, because they understand and appreciate the exacting technical details and the care we put in building them" Paolo Parente, CEO & Founder of Puritalia. 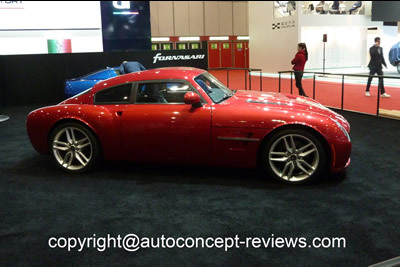 Fornasari is a custom-made car manufacturer. 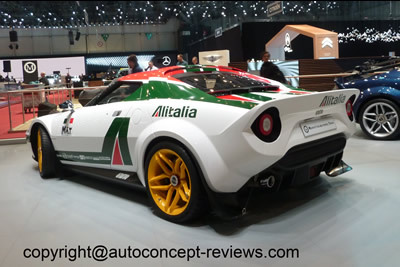 It was founded by Luigi (Gigi) Fornasari car maker and racing driver. 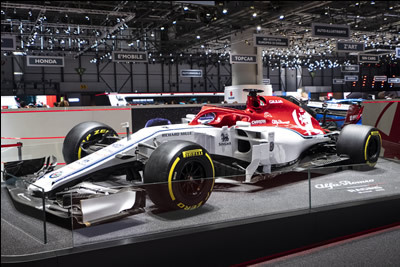 The two sons of "Gigi" are continuing the business and introduced the Fornasari Gigi at Geneva bearing the surname of their father. 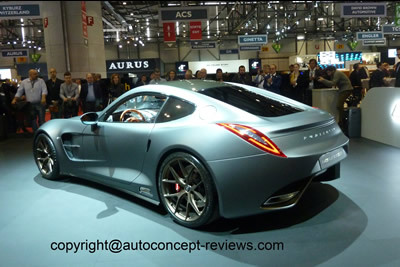 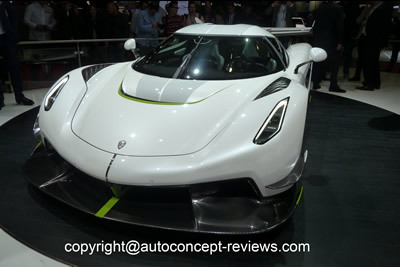 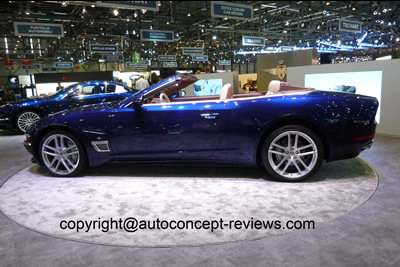 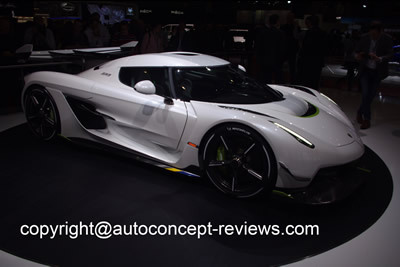 The Company has been involved with importing Chevrolet Corvette and preparing Callaway Corvette. 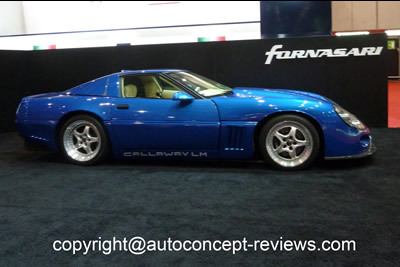 They built eleven road legal Corvette Callaway and one is on the exhibit. 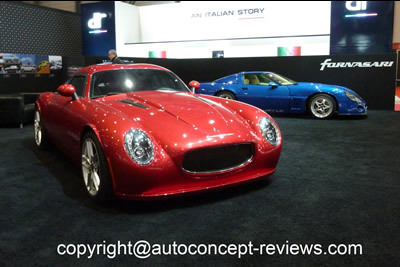 The styling of the Fornasari Gigi recalls the shape of the Maserati A6 GC Zagato raced by Luigi Fornasari in 1955. 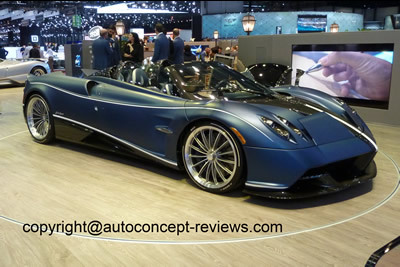 The Fornasari Gigi is based on Chevrolet Corvette mechanical components with a 600 hp 7000 cc V8 and six speed gearbox. 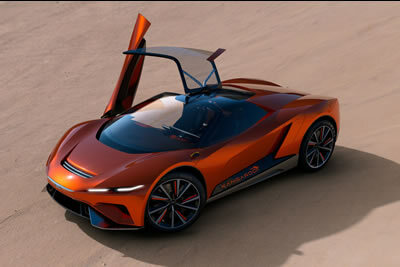 The top speed is announced at 325 kph (202 mph). 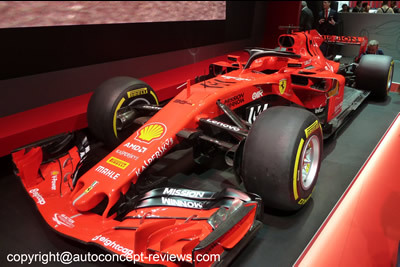 Manifattura Automobili Torino (MAT) is a car manufacturer that develops and builds racing and luxury cars in single or small series.Paolo Garella, the founder, brought to the company his 30 years and more experience in the automotive field. 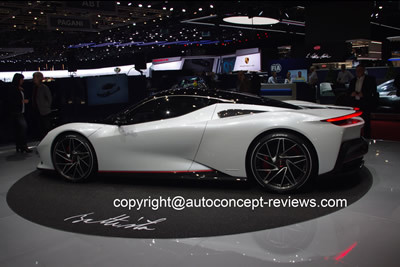 He held major technical positions at Pininfarina and managed the development and construction of more than 50 one-offs based on the most prestigious models of our time. 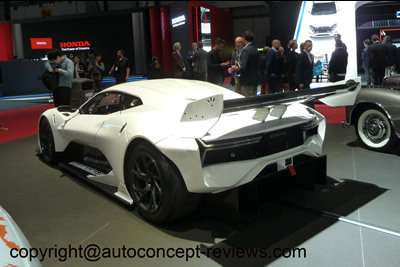 The company, located in the Torino South area - traditionally the cradle of the highest skills in the Italian automotive field - during the last years successfully completed the development and construction of the SCG003 cars for Scuderia Cameron Glickenhaus and of the Apollo Intensa Emozione for Apollo Automobil. 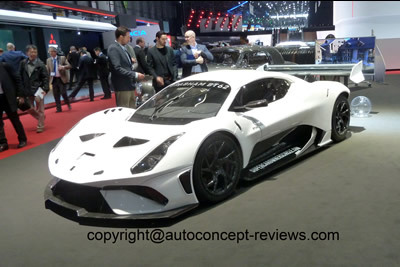 In December 2018 MAT was selected by Aspark as development and manufacturing partner for the Owl project, conceived, designed and engineered to be the fastest accelerating, fully electric, hypercar in the world. 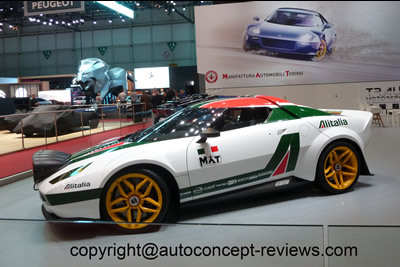 In 2018 MAT announced the licensing agreement about for the production of a 25-cars limited series of the New Stratos. 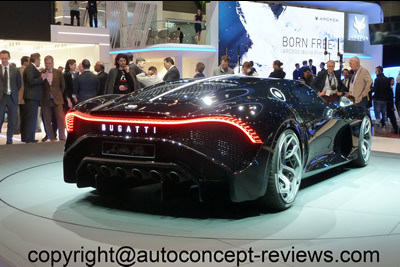 Strong of a skilled team, MAT can manage the full development of an automotive project, from the engineering development to the testing and production of the final racing, or road legal supercar. 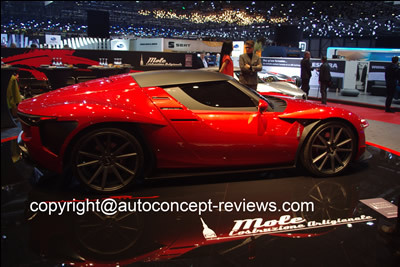 MAT presented, in world premiere, the first ever New Stratos with manual gearbox. 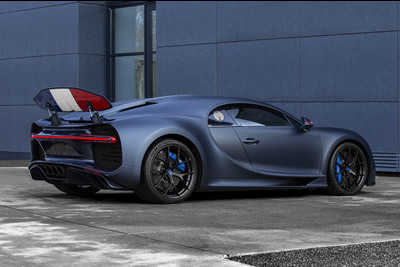 With this option MAT is offering a unique experience combining the massive, well controlled torque of the naturally aspirated V8 with the excitement of the manual transmission, an experience that is less and less available on modern sport cars. 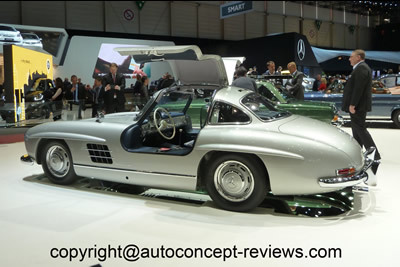 This feature perfectly fits with the spirit of this project born and developed under the leadership of Michael and Maximilian Stoschek. 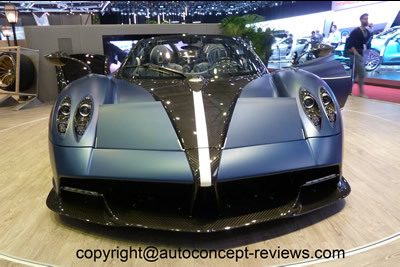 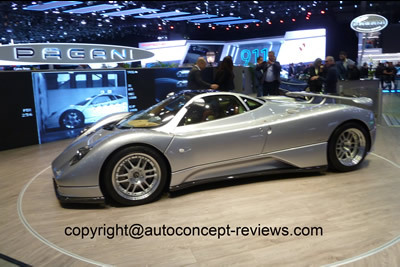 Pagani Automobili announces the 20th Anniversary since the presentation of the Zonda C12 at the Geneva International Motor Show with the world premiere of the very first chassis of Zonda having been completely restored. 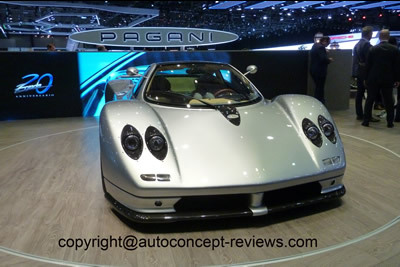 Just 140 street legal examples in total since 1999. 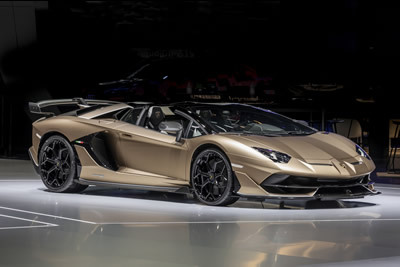 The Aventador SVJ Roadster made its worldwide premiere at Geneva Motor Show, presented by Automobili Lamborghini on its stand, alongside the new Huracán EVO Spyder that also made its international debut. 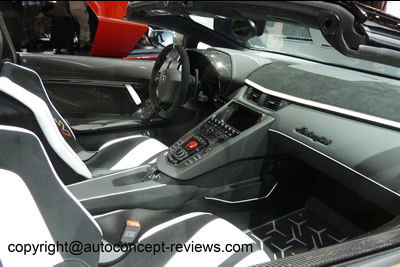 Automobili Lamborghini presented the new Lamborghini Huracán EVO Spyder at Geneva Motor Show: the open-top car joins its coupé counterpart launched earlier this year, as the second model in the V10 Huracán EVO line-up. 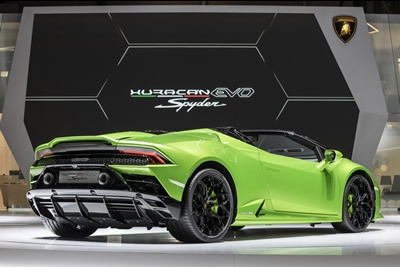 “The Huracán EVO Spyder incorporates all the performance, next-generation vehicle control and aerodynamic features of the EVO coupé, with its own unique personality and a driving excitement that only an open-top car can offer,” says Stefano Domenicali, Chairman and Chief Executive Officer of Automobili Lamborghini. 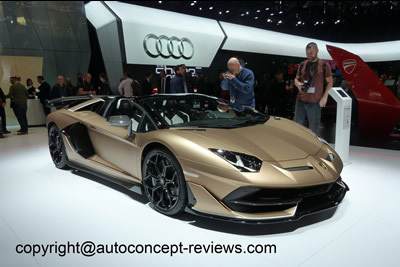 Lamborghini Huracan EVO Spyder- 5204 cc V10 Engine derived from Huracán Performante, producing 640 hp and 600 Nm of torque -Acceleration 0-100 km/h in 3.1 seconds, top speed 325 km/h - dry weight 1542 kg (3400 lb). 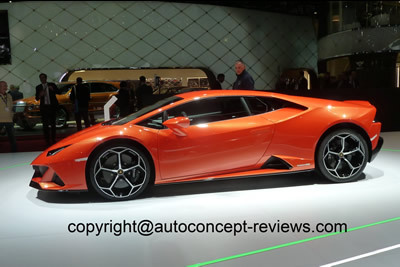 Automobili Lamborghini presented also the new Lamborghini Huracán EVO : the next generation V10 super sports car, based on the prowess and performance of the Huracán Performante and incorporating next-generation vehicle dynamic control and aerodynamics. 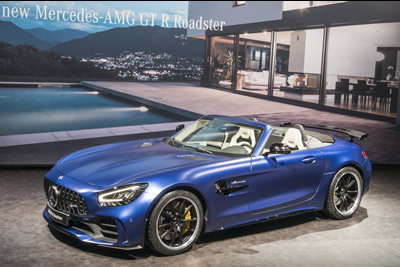 The Mercedes-AMG GT R Roadster pairs ultimate performance with the freedom of open-top driving – and is the crowning glory of the open sports car model line-up. 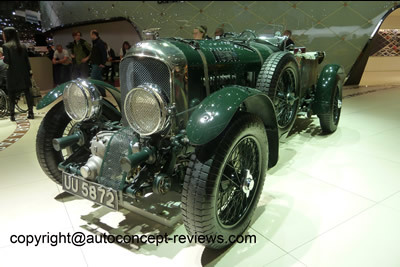 It is as much at home on the racetrack as it is on the boulevards and coast roads of the world. 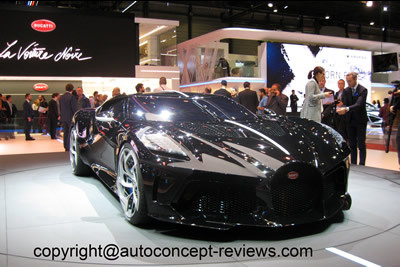 With its powerful drive and expressive design, it appeals to a new, lifestyle-oriented target group. 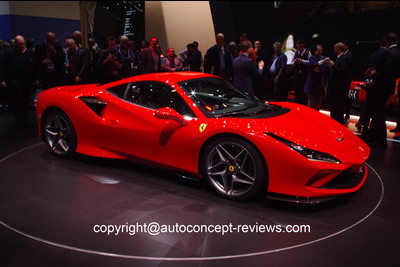 The 430 kW/585 hp V8 biturbo engine, the adjustable coil-over suspension with active rear-wheel steer, the active aerodynamics and the intelligent lightweight design form the basis for exceptionally dynamic handling. 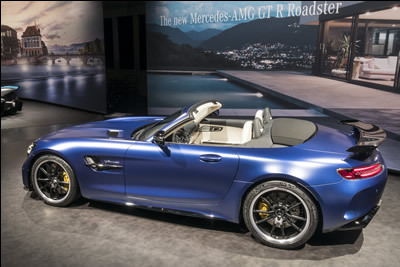 Like the other roadster models, the open AMG GT R is fitted with the three-layer automatic soft top with a lightweight framework made from aluminium, magnesium and steel. 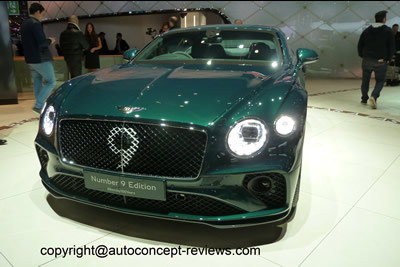 The low front end and the forward-tilted, AMG grille create a distinctive “shark nose” look and lower the car’s visual stance. 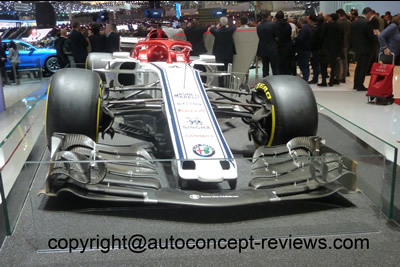 This shaping also lowers the ram-air point on the vehicle, which improves the flow of cooling air and aerodynamic performance. 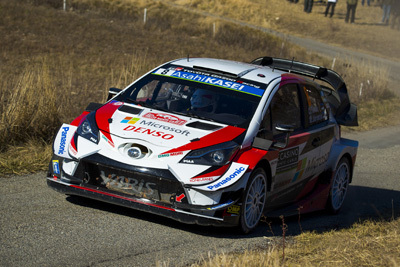 TOYOTA GAZOO Racing World Rally Team claimed the FIA World Rally Championship manufacturers' title in style at the final round in Australia with a rally victory for Jari-Matti Latvala. 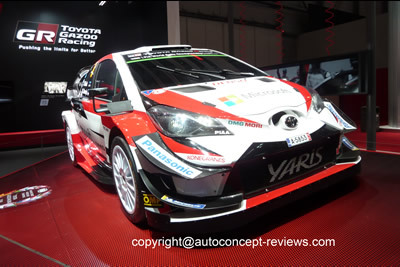 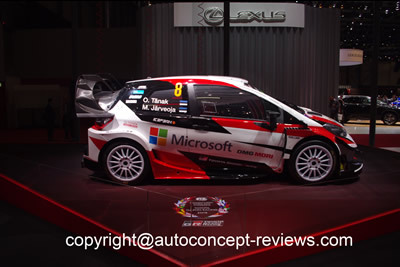 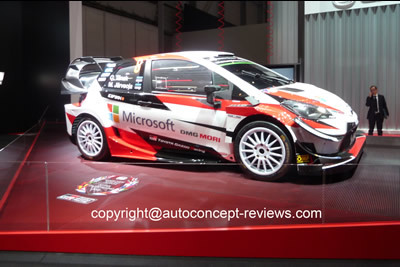 Esapekka Lappi finished in fourth place to help Toyota clinch the manufacturers' crown in just the second season of its return to the WRC. 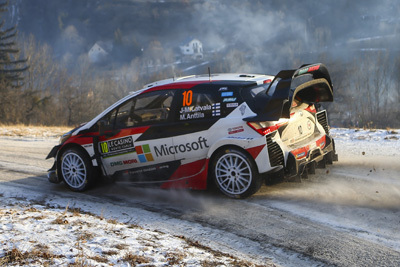 It is the fourth occasion that Toyota has won the manufacturers' title in the WRC and the first time since 1999. 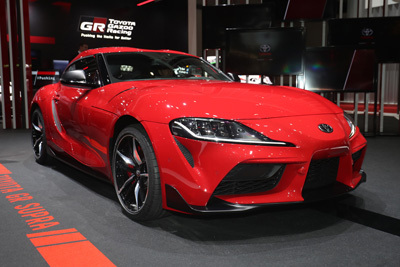 The GR Supra GT4 Concept was developed as a racing study model based on the GR Supra, TOYOTA GAZOO Racing's first global model. 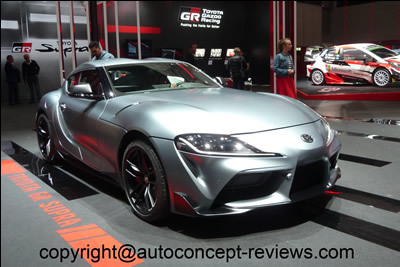 The model was developed by Toyota Motorsport GmbH, Toyota's motorsports foothold in Europe, to explore the possibility of using the GR Supra in customer motorsports such as privateer racing. 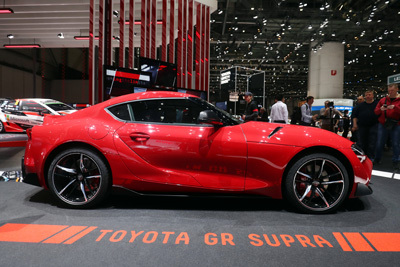 The concept model, developed by TOYOTA GAZOO Racing, is instantly recognisable as a Supra and maintains the road car’s low, muscular shape, but with increased length and lowered height. 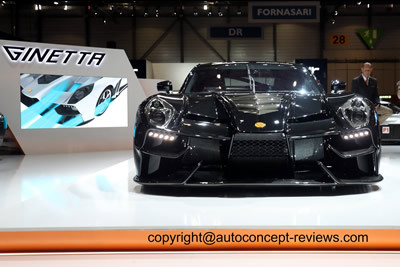 A specially-designed front diffuser and rear wing have been added to the GR Supra GT4 Concept to improve airflow around the chassis, reducing drag and optimising downforce. 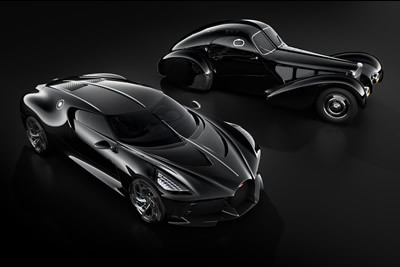 Both items are constructed using composites made from natural fibres such as hemp and flax, replacing the traditional carbon fibre in order to reduce the impact on the environment. 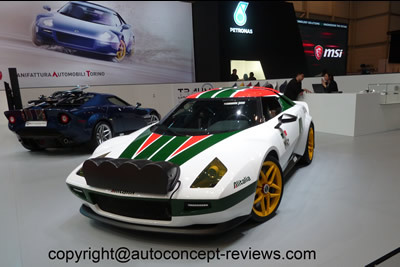 Original alloy wheels have been replaced by five-hole OZ 11 x 18in racing wheels. 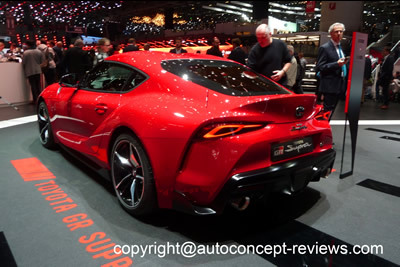 Under the bonnet, the GR Supra GT4 Concept retains the 3.0-litre straight-six-cylinder petrol engine with single twin scroll turbocharger, coupled to an automatic transmission. 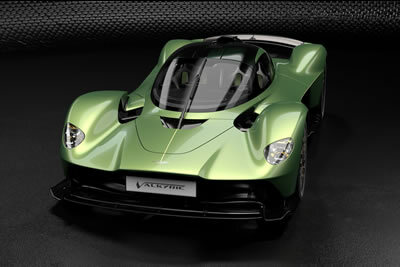 Performance is increased with help from a motorsport-grade ECU and bespoke wiring looms. 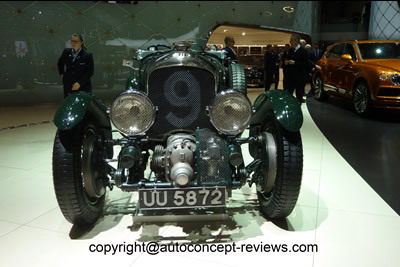 There are also motorsport-specification drive shafts and limited slip differential. 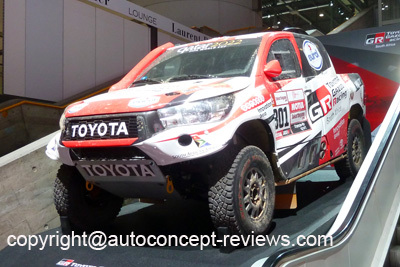 The stripped-out cabin is fitted with a high-strength roll cage and FIA-standard fire extinguisher and OMP racing seat. 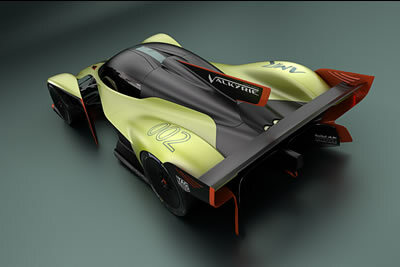 The concept car is also equipped with a motorsport-specific fuel tank and a fast refuelling system. 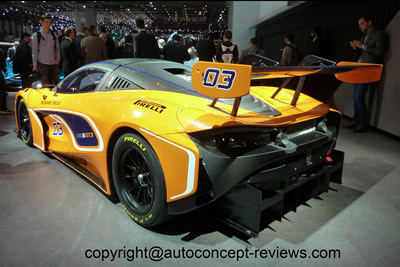 GT4 is one of the world’s fastest-growing motorsports categories, with national and regional competitions in Europe, North America, Asia and Oceania. 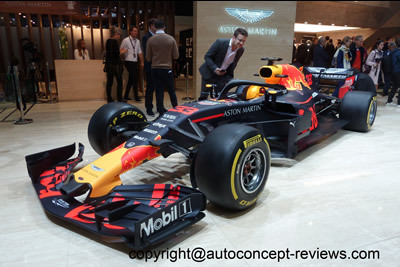 Established since 2006 and sanctioned by the FIA, it is designed to be a value-for-money series for both professional and amateur racers, and a potential stepping-stone to GT3 competition. 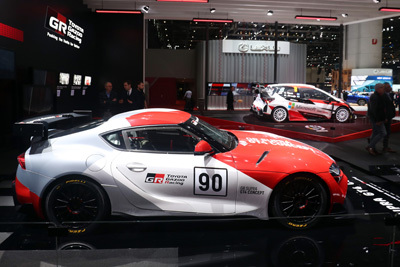 TOYOTA GAZOO Racing will evaluate the interest shown by potential customers in the Supra GT4 Concept before deciding on future development of the vehicle. 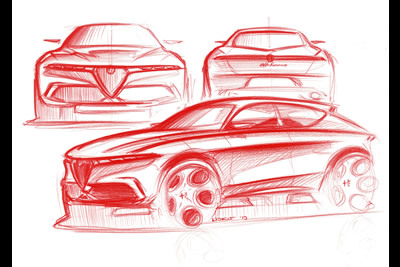 With the realization of Mole Artisanal Construction 001 Umberto Palermo wants to pay tribute to Turin, the capital of Italian automotive design, the city that has welcomed him and that has enshrined his professional and entrepreneurial fulfilment. 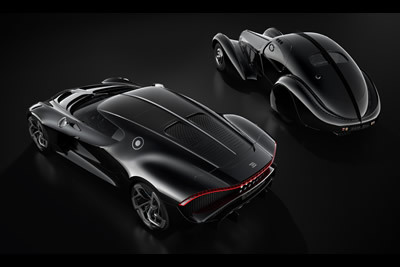 Mole Costruzione Artigianale 001 is the first working prototype branded UP Design, a car that embodies sportiness and elegance and represents the perfect harmony between modernity and tradition. 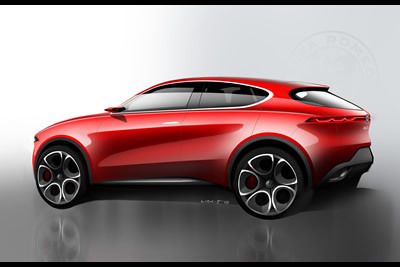 Mole will be made in small series in a totally handmade way at the Officine Umberto Palermo. 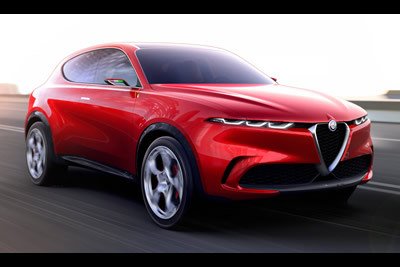 The intent is to create custom-built cars starting from out of production prestigious Italian models, giving them new life with a body and a body that enhance the nobility of mechanics. 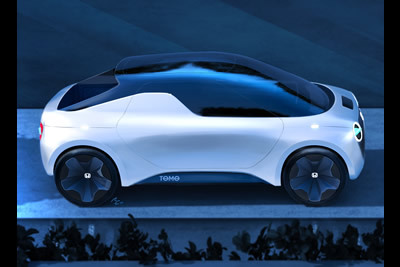 The TOMO is a Design project by the Students of the Istituto di Design -Transportation Division in Torino Italy with the sponsorship of Honda. 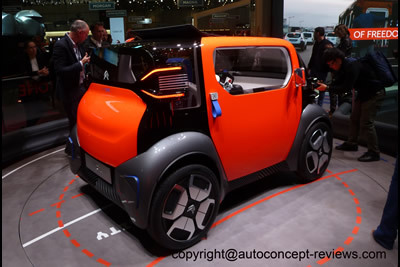 The project is based on a Manga where a young urban worker often goes to the countryside to grow fruits and vegetables that he wants to carry to the city in his Tomo pick up. 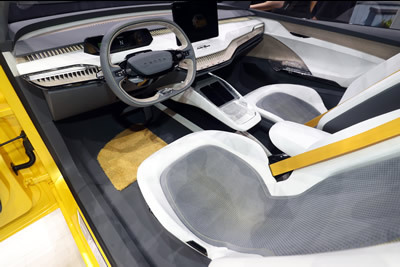 Franco Sbarro exhibited several personal design alongside projects by students of the Espera Design School he founded. 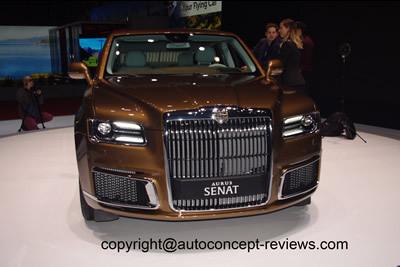 The Aurus Senat is designed and built by State owned Russian Industry sepcialized in armored vehicles. 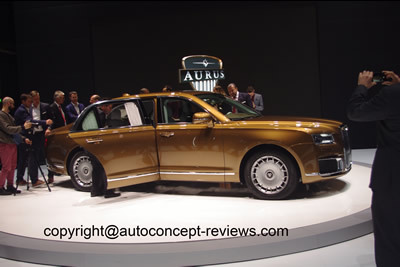 The Aurus was produced for internal market and is now proposed for overseas markets. 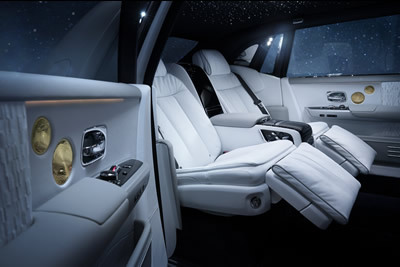 Created for those who conceive and achieve the impossible, Tranquillity is an expression of Phantom&rsquo;s standing as the rarest and most desired object in the luxury world. 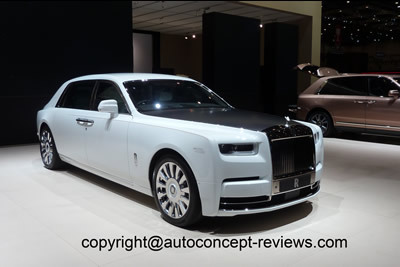 This Collection is strictly limited to just 25 examples worldwide and available as both Phantom and Phantom Extended Wheelbase, which discerning collectors have already purchased. 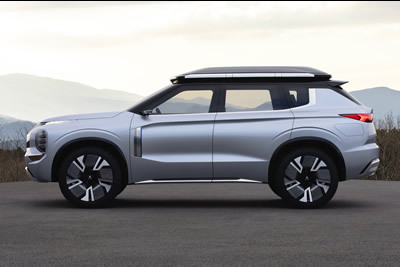 MITSUBISHI ENGELBERG TOURER uses a PHEV system that befits a top-of-line next-generation crossover SUV. 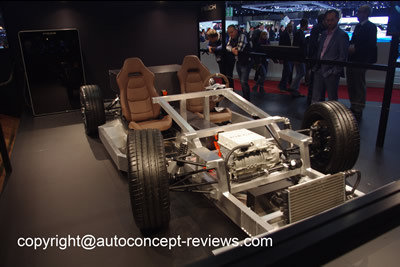 The large capacity drive battery is fitted beneath the floor in the middle of the vehicle. 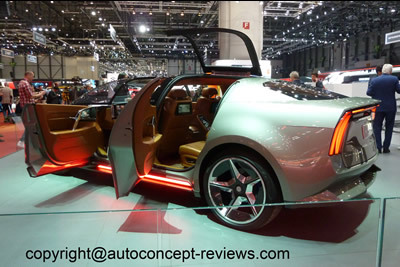 It uses MMC’s Twin Motor system that locates high output, high efficiency motors at front and rear, but provides a cavernous cabin space that allows 3-row seating. 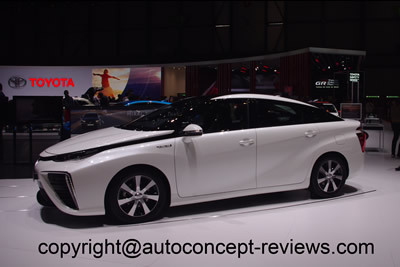 • The engine is a 2.4L gasoline unit designed for the PHEV system. 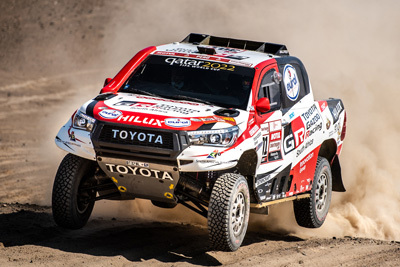 In series hybrid mode, the engine acts as a high-output generator and achieves a high regeneration rate, while the larger displacement makes for quieter operation and better fuel mileage. 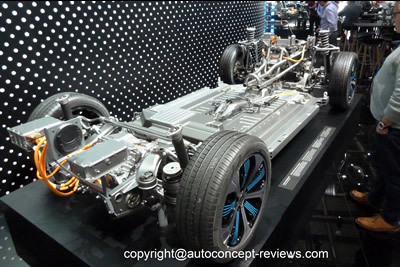 In addition to the higher efficiencies in the PHEV system itself, MITSUBISHI ENGELBERG TOURER uses detail low-consumption technologies such as radiator grille shutters that bring a reduction in drag. 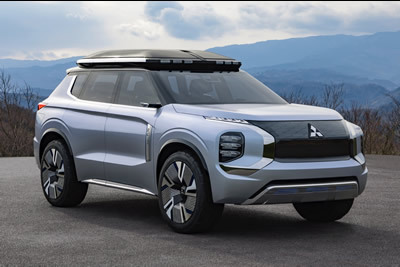 • MITSUBISHI ENGELBERG TOURER has an EV cruising range of over 70km (WLTP cycle), and with a fully charged battery and full fuel tank it has a total cruising range of over 700km (WLTP). 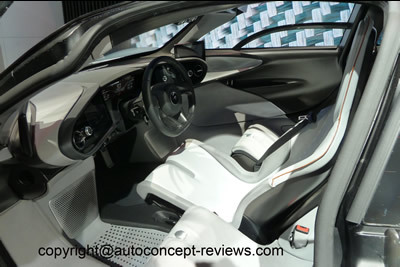 This means driver and passengers can enjoy the smooth, powerful and quiet driving inherent to an EV for longer still. 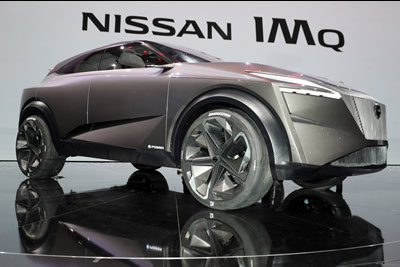 The Nissan IMQ seamlessly blends Japanese heritage with state-of-the-art, human-centric technology. 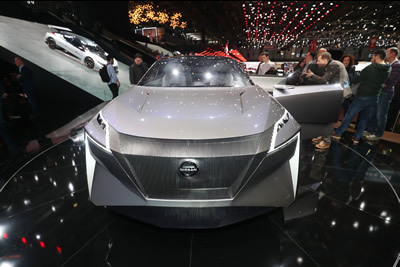 It incorporates the latest innovations that bring to life Nissan Intelligent Mobility, the brand's vision for the future of automotive transportation. 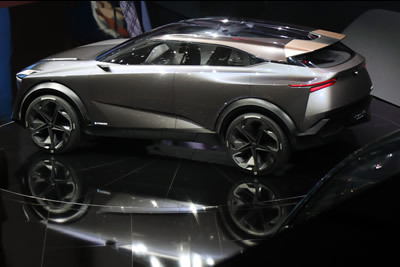 Its styling reflects Nissan's role as a pioneer and leader in crossovers, with a striking look that pushes the boundaries of what a European crossover can be. 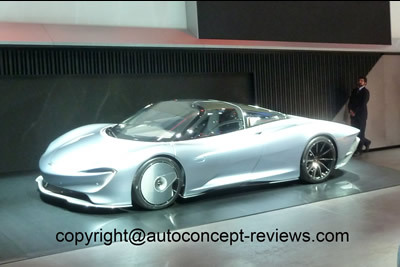 Anton Piech who is the son of Ferdinand Piech previous Volkswagen Group CEO and grand son of Ferdinand Porsche, has created a company to develop electric sports car Mark Zero. 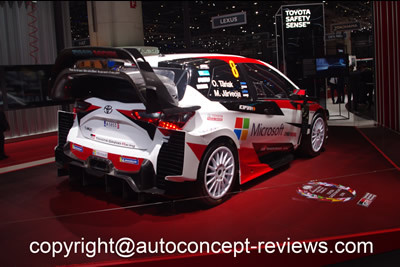 Very few technical details are available at this time. 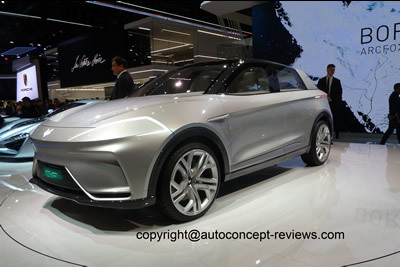 There will certainly be Volkswagen MEB electric platform eventually available for this project. 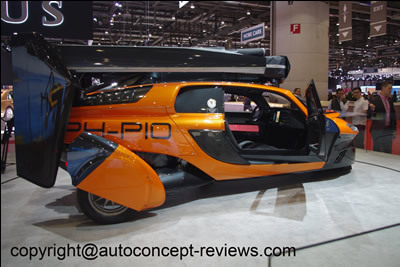 PAL-V is a twin engine two seats flying and road going vehicle under development in Holland and that is scheduled for 2022. 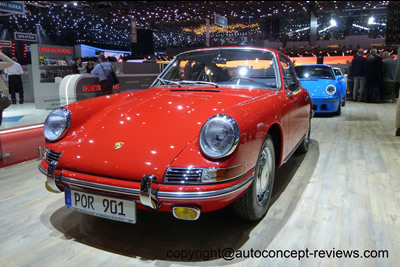 This is the 78th Porsche 901 ever produced in 1963. 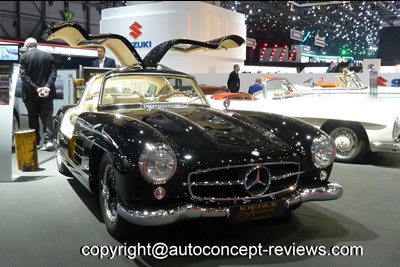 Kielne and Brabus Classic exhibited Mercedes 300 SL made in 1955 or 1956 fully restored and certified. 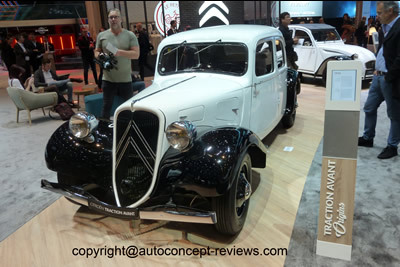 Citroen exhibited three antique models for the 100 th Anniversary of the Company.